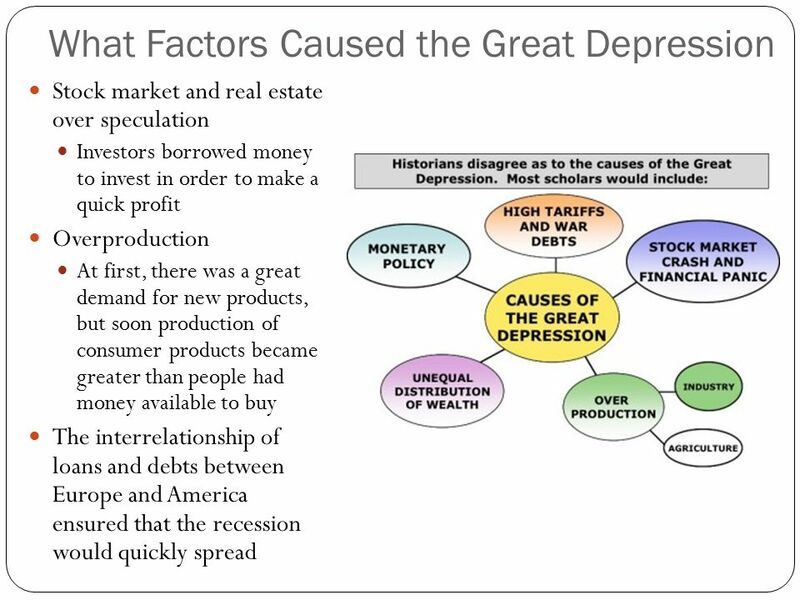 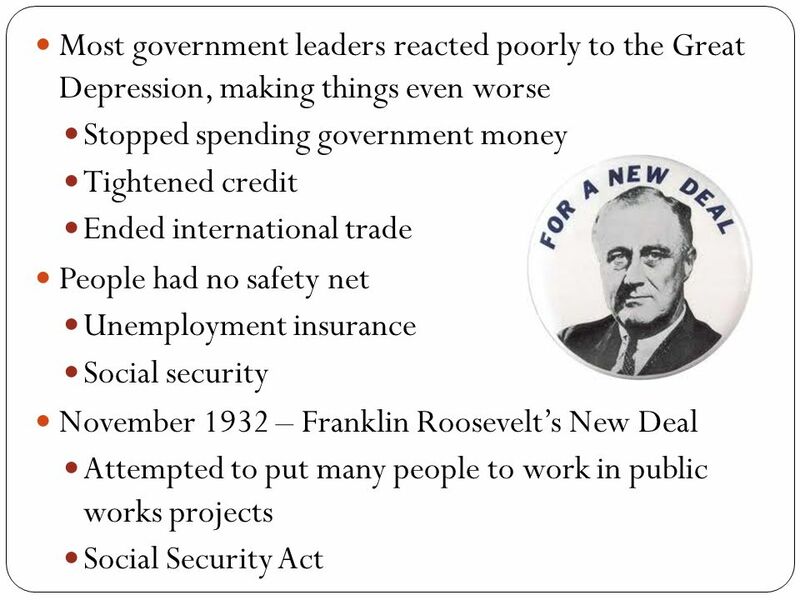 2 Essential Questions What were the major causes of the Great Depression? 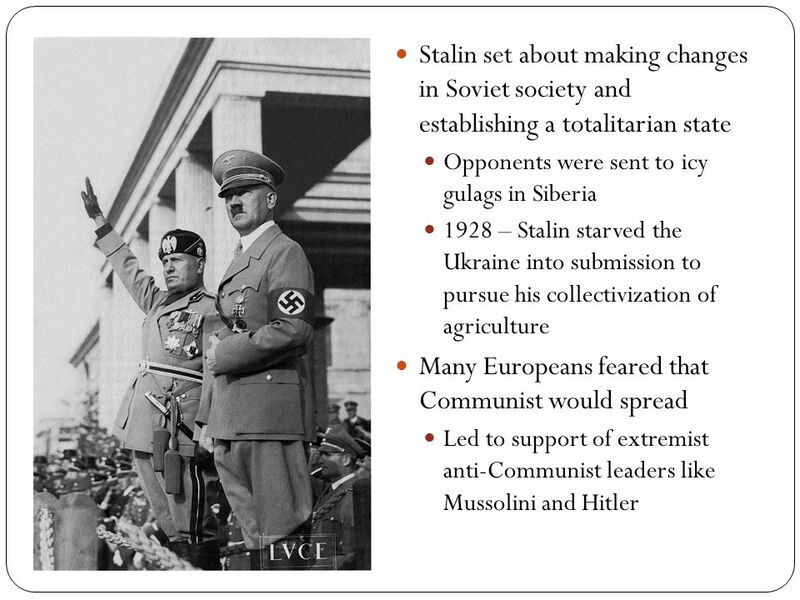 What factors allowed the rise of totalitarian dictators like Mussolini and Hitler? 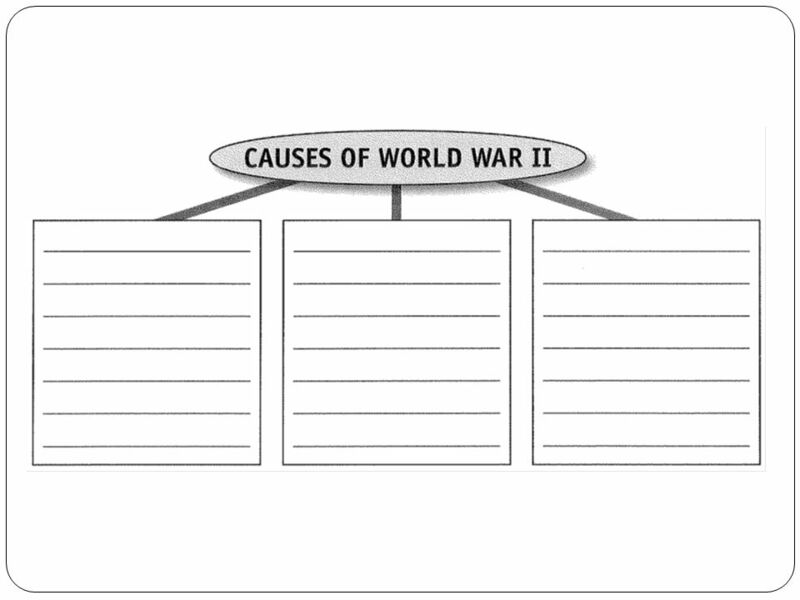 What were the main causes and effects of World War II? 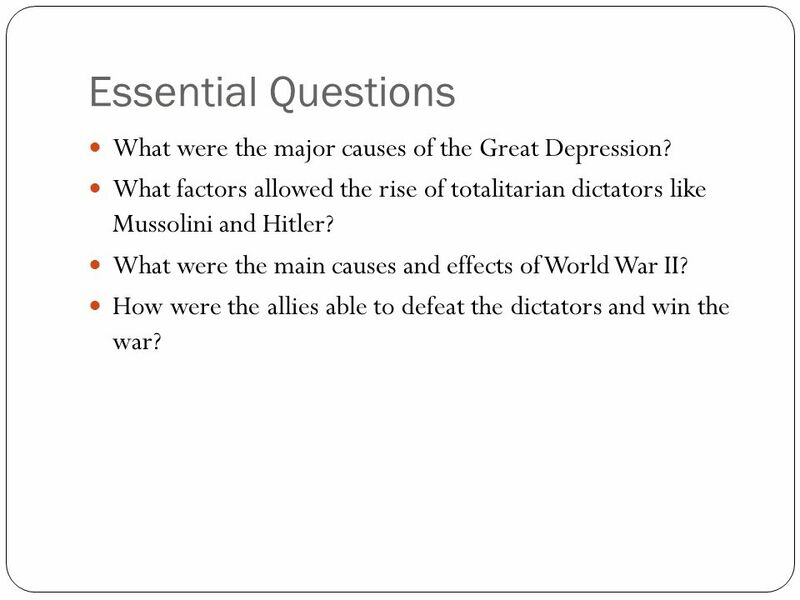 How were the allies able to defeat the dictators and win the war? 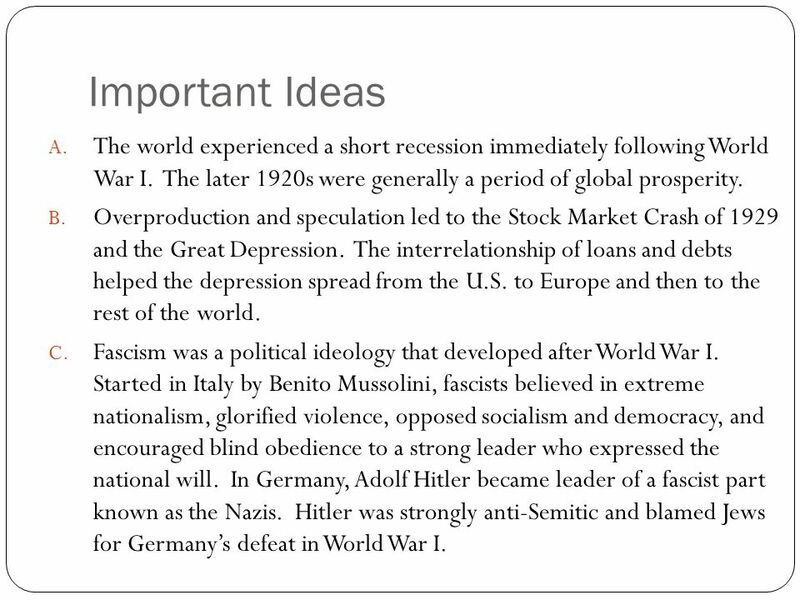 3 Important Ideas The world experienced a short recession immediately following World War I. 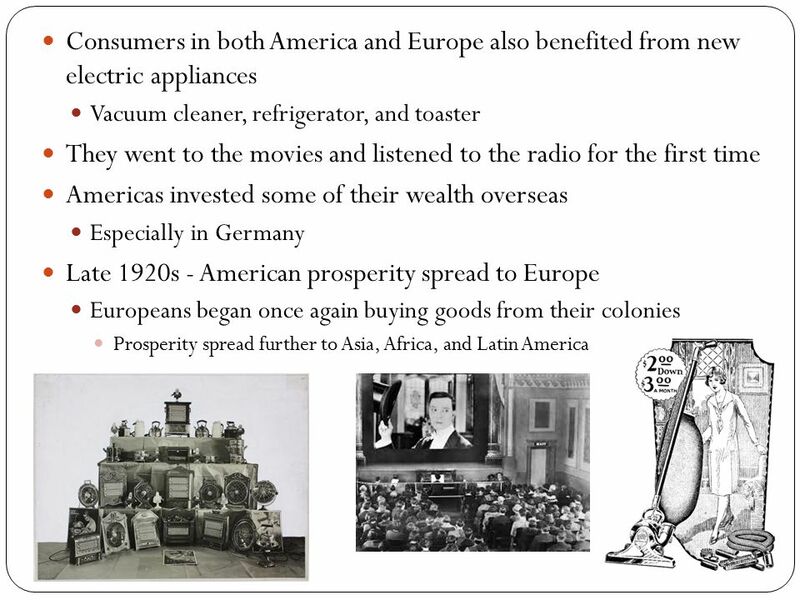 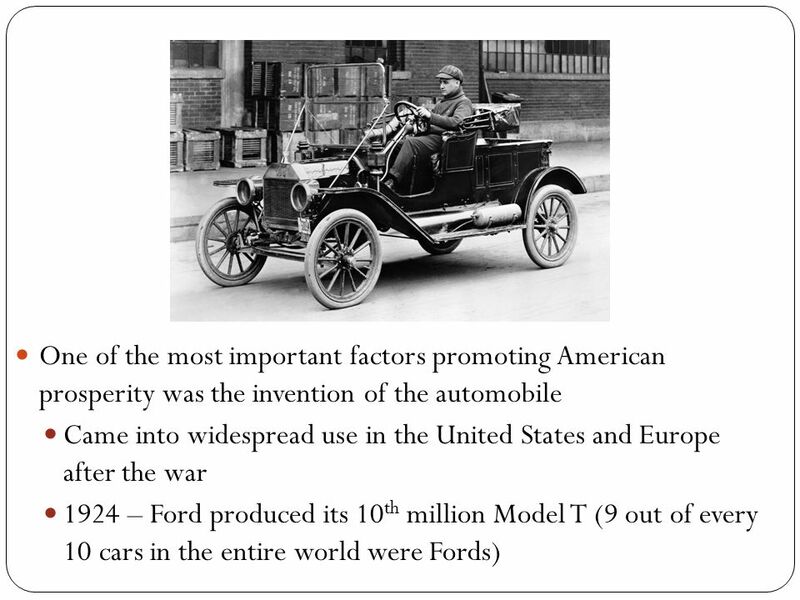 The later 1920s were generally a period of global prosperity. 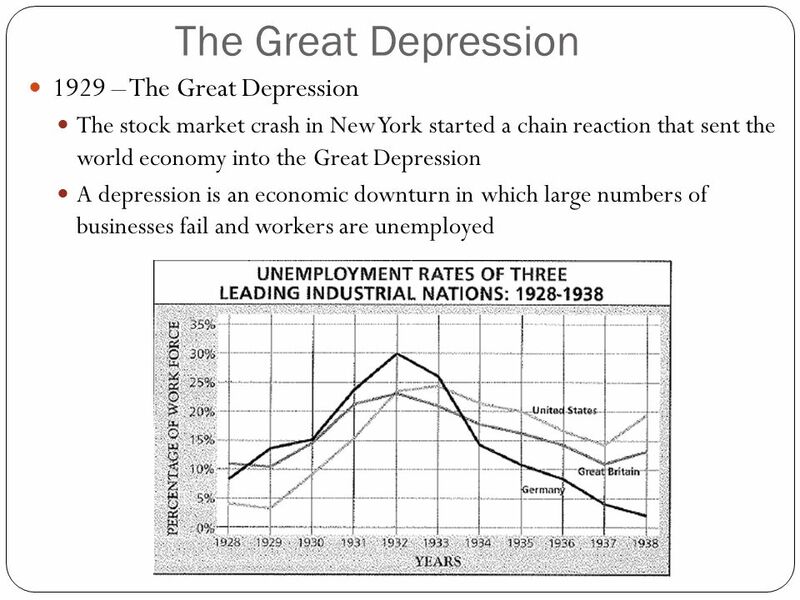 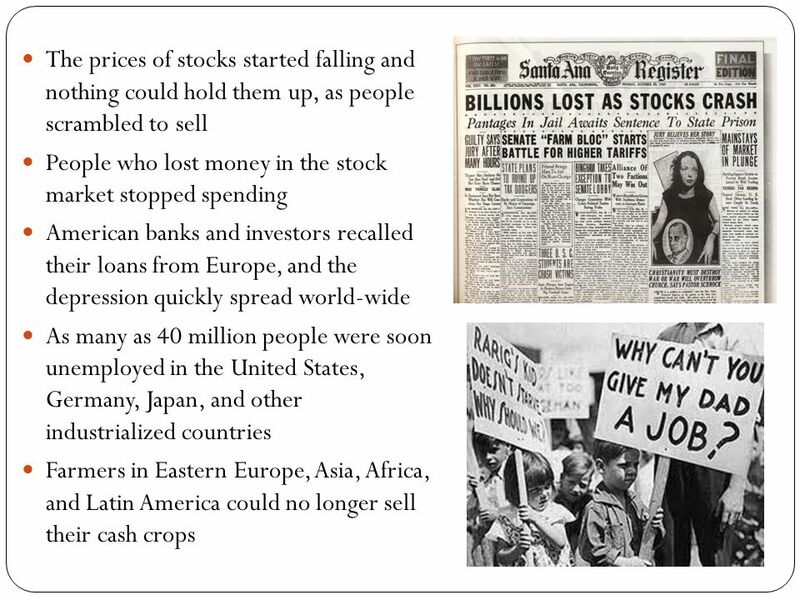 Overproduction and speculation led to the Stock Market Crash of and the Great Depression. 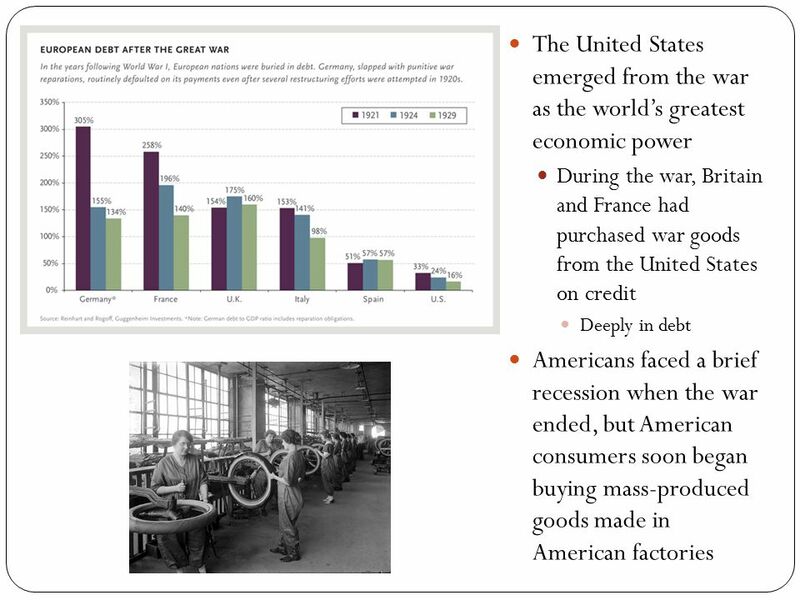 The interrelationship of loans and debts helped the depression spread from the U.S. to Europe and then to the rest of the world. 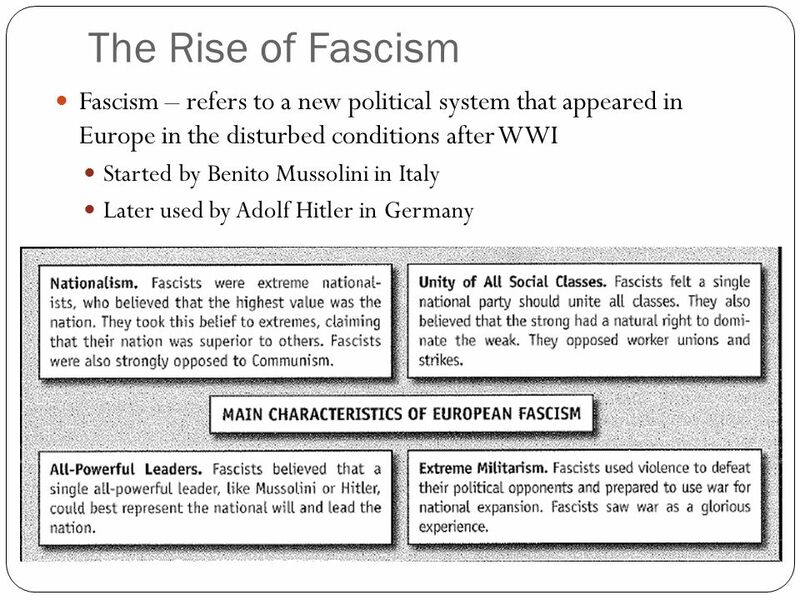 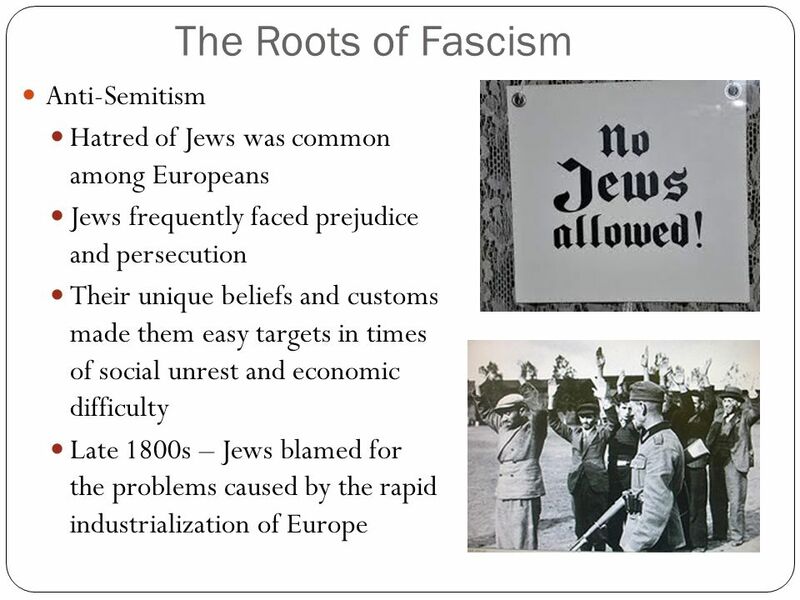 Fascism was a political ideology that developed after World War I. 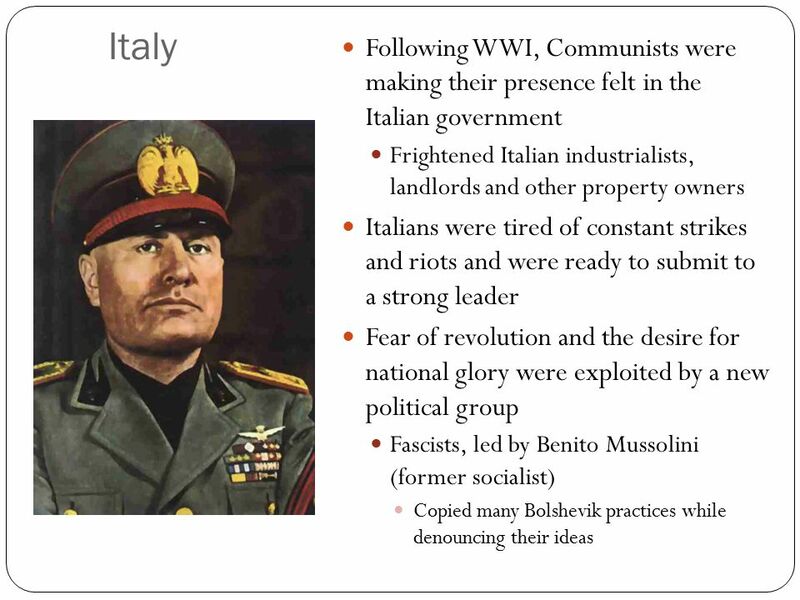 Started in Italy by Benito Mussolini, fascists believed in extreme nationalism, glorified violence, opposed socialism and democracy, and encouraged blind obedience to a strong leader who expressed the national will. 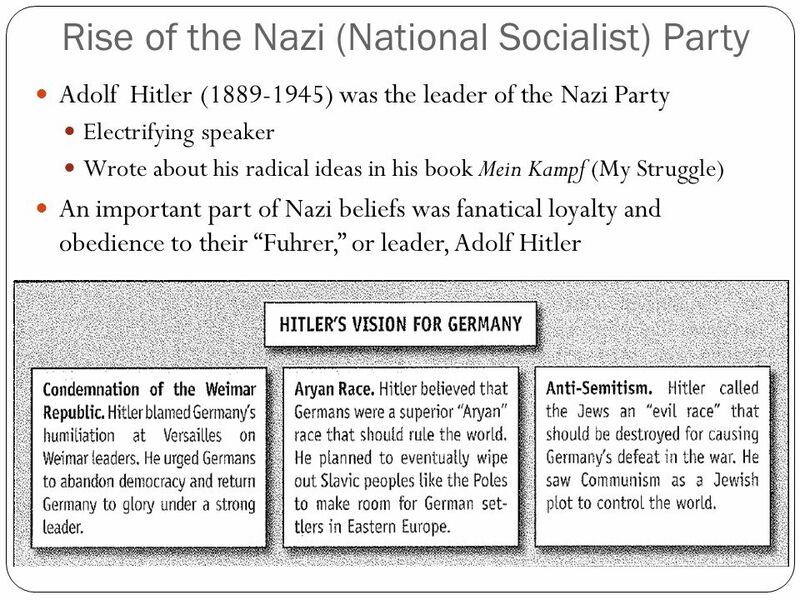 In Germany, Adolf Hitler became leader of a fascist part known as the Nazis. 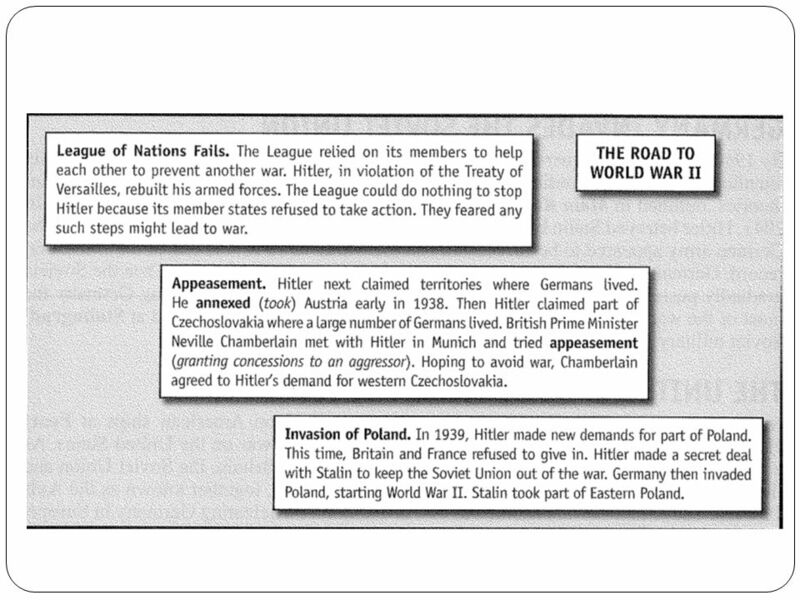 Hitler was strongly anti-Semitic and blamed Jews for Germany’s defeat in World War I. 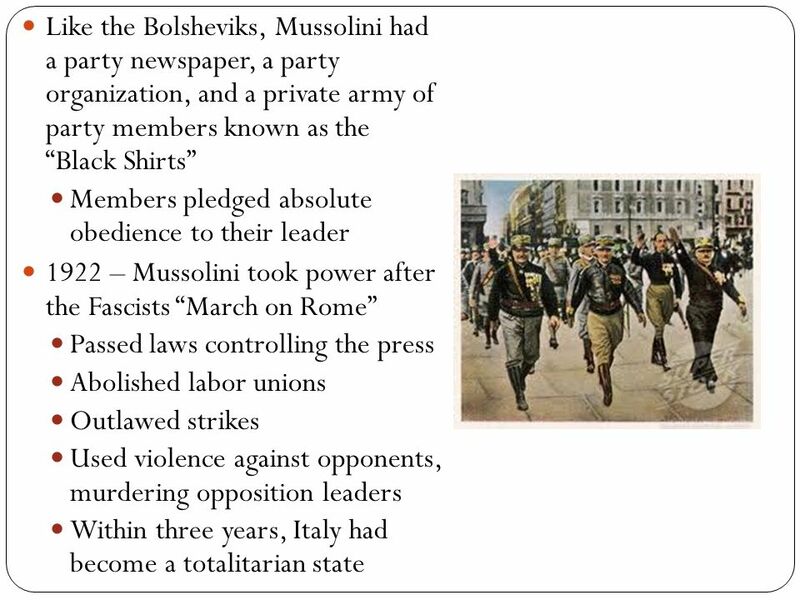 4 Mussolini came to power in Italy in 1922, where he created a totalitarian state. 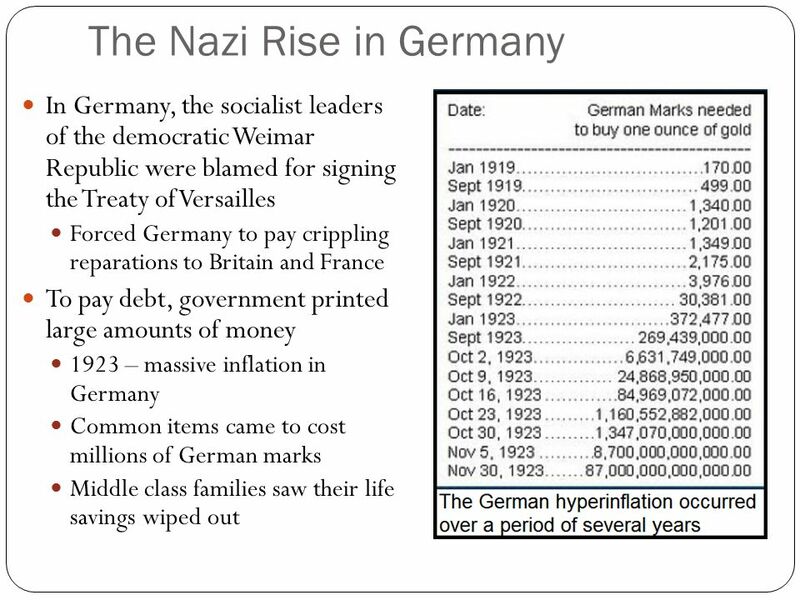 In Germany, millions of workers lost their jobs in the Great Depression. 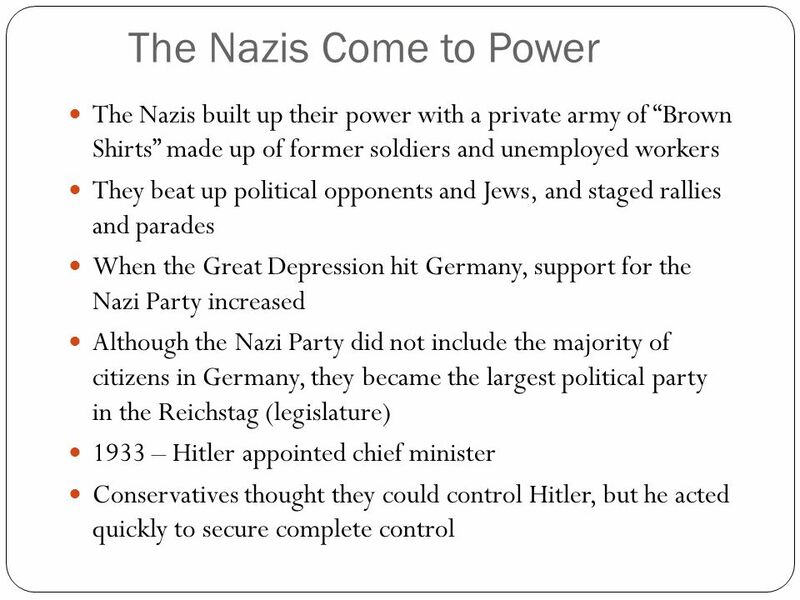 Members of the middle classes, working classes and farmers turned to the Nazi Party. 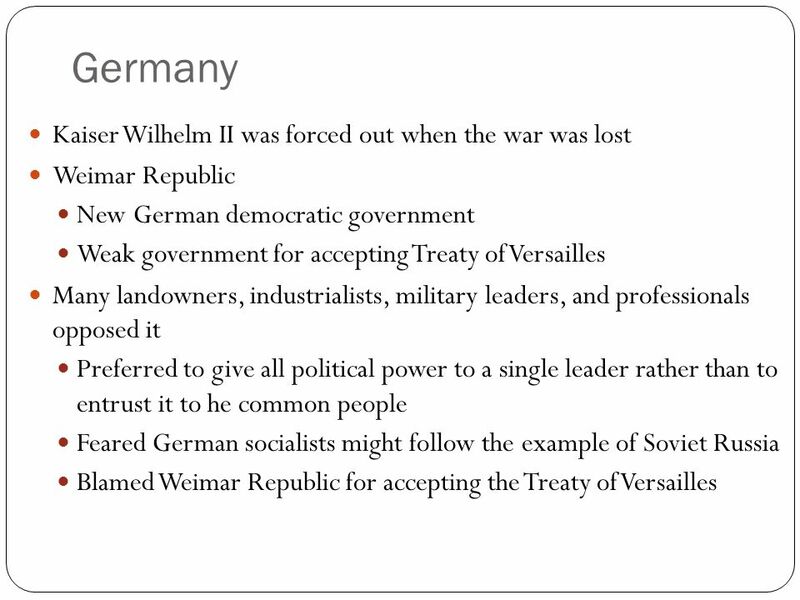 In 1933, Germany’s leaders appointed Adolf Hitler as Chancellor. 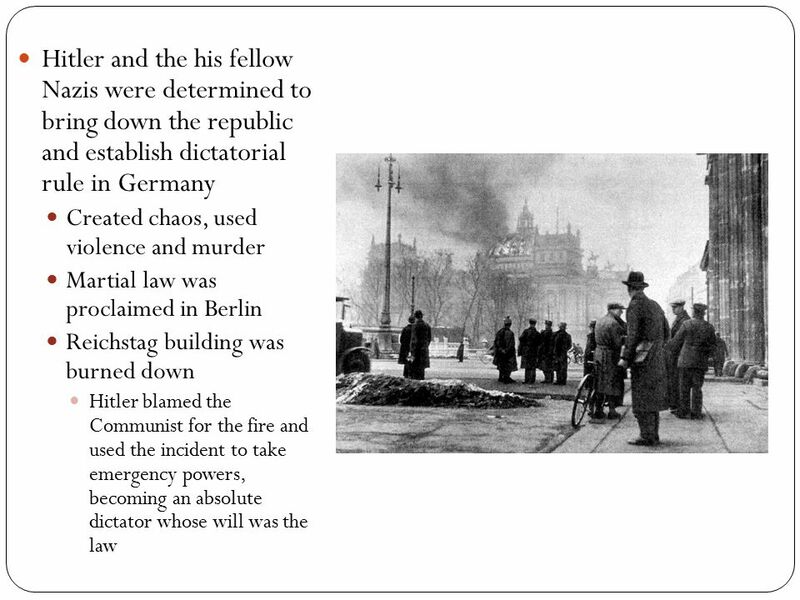 Blaming Communists for starting the Reichstag fire, he took on emergency powers. 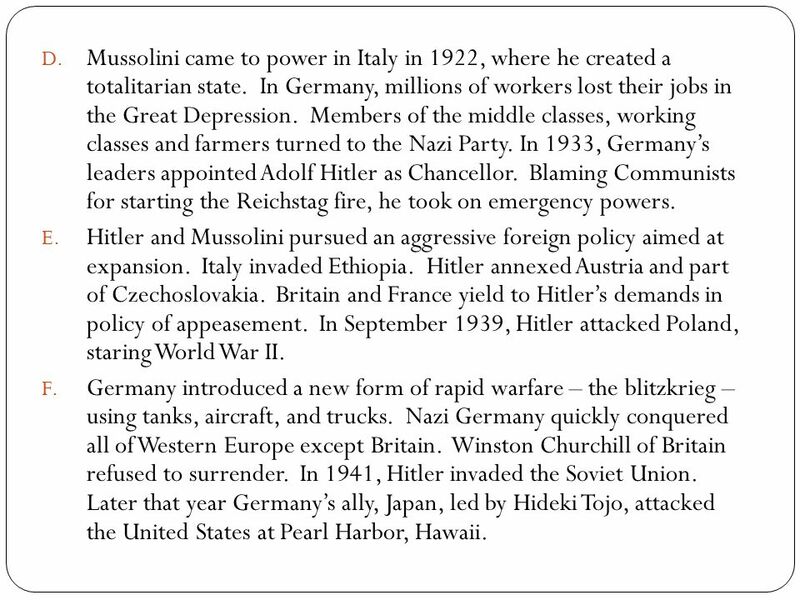 Hitler and Mussolini pursued an aggressive foreign policy aimed at expansion. 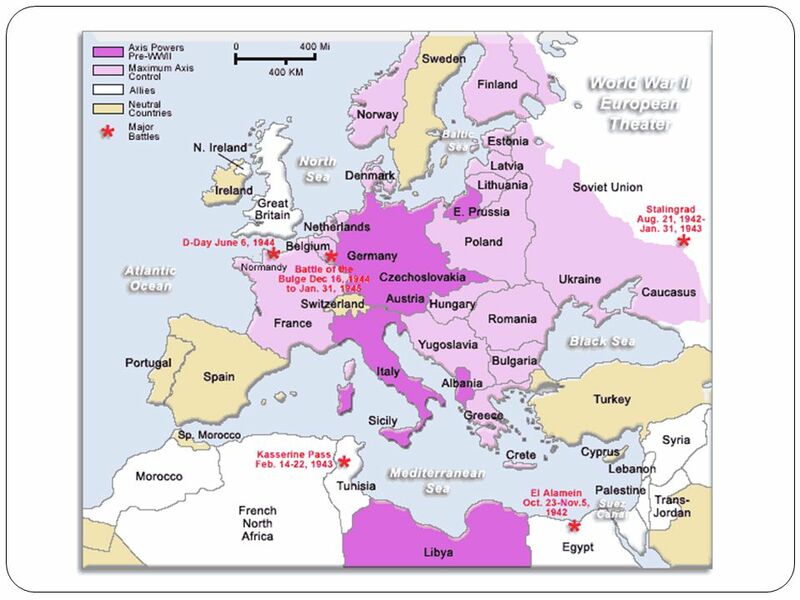 Italy invaded Ethiopia. 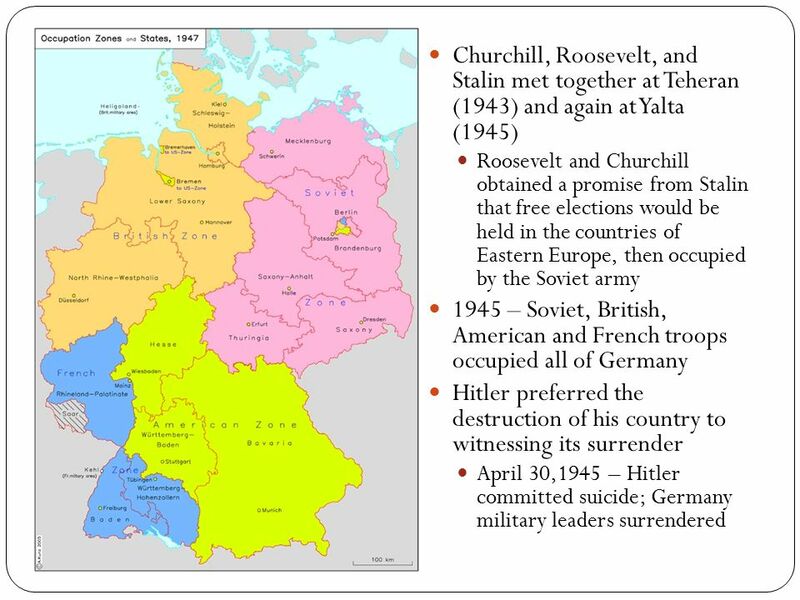 Hitler annexed Austria and part of Czechoslovakia. 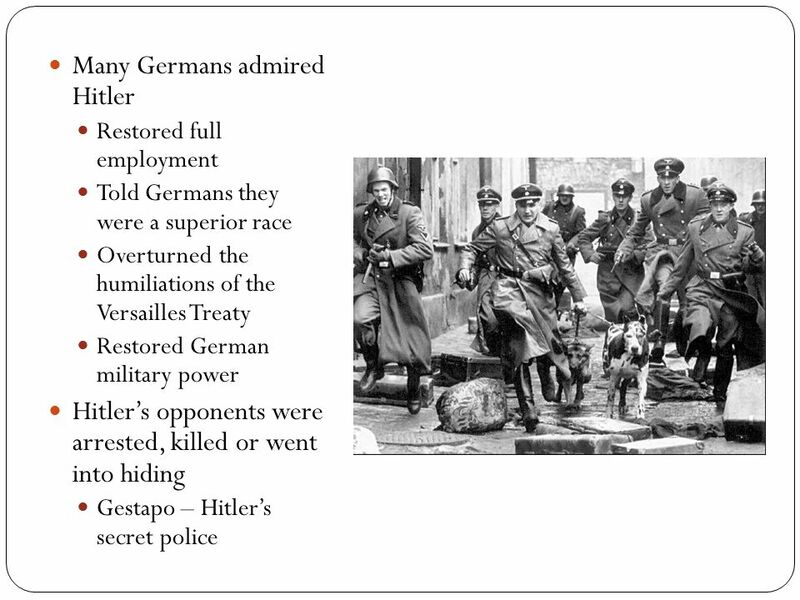 Britain and France yield to Hitler’s demands in policy of appeasement. 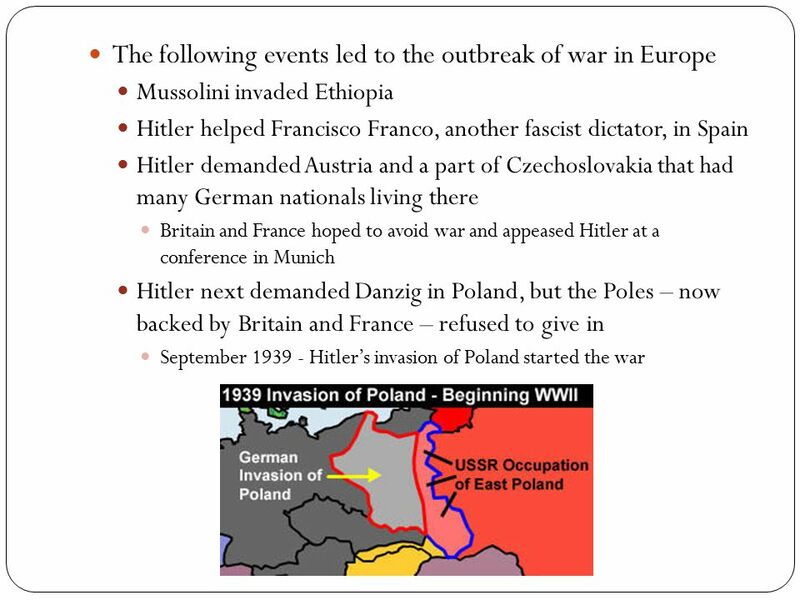 In September 1939, Hitler attacked Poland, staring World War II. 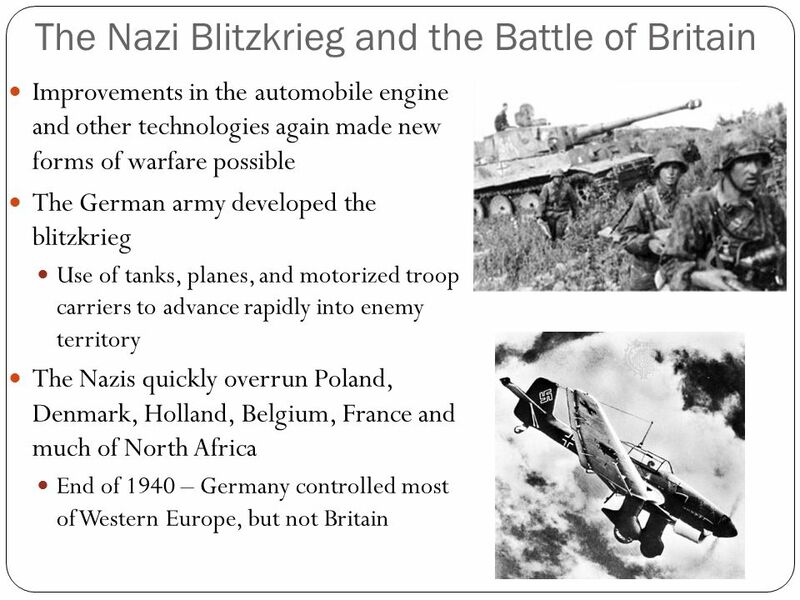 Germany introduced a new form of rapid warfare – the blitzkrieg – using tanks, aircraft, and trucks. 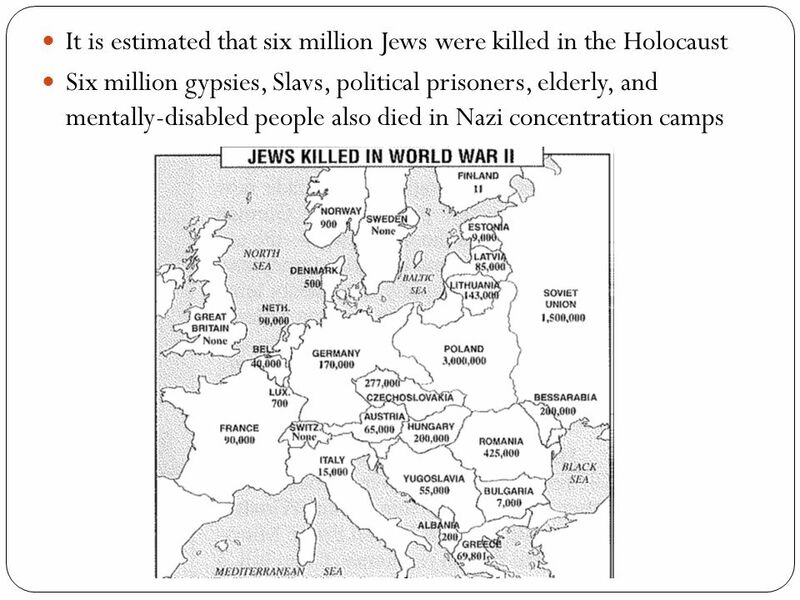 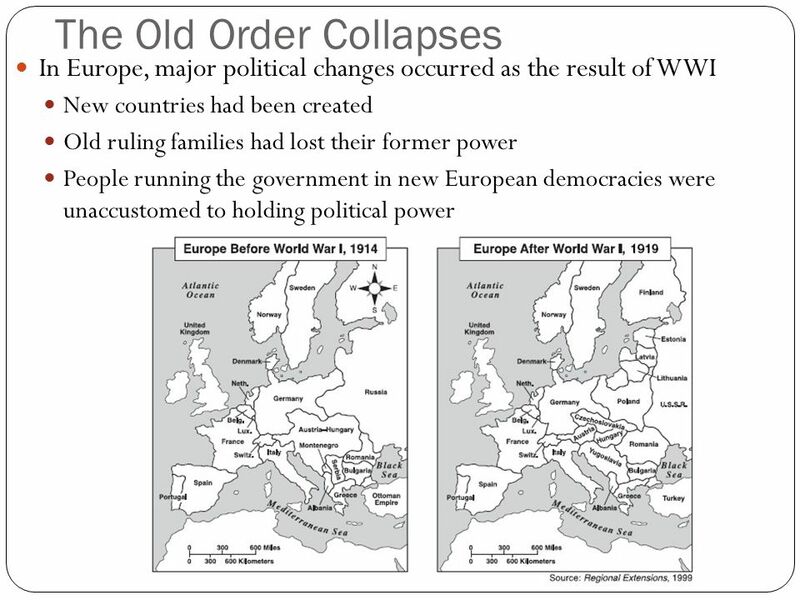 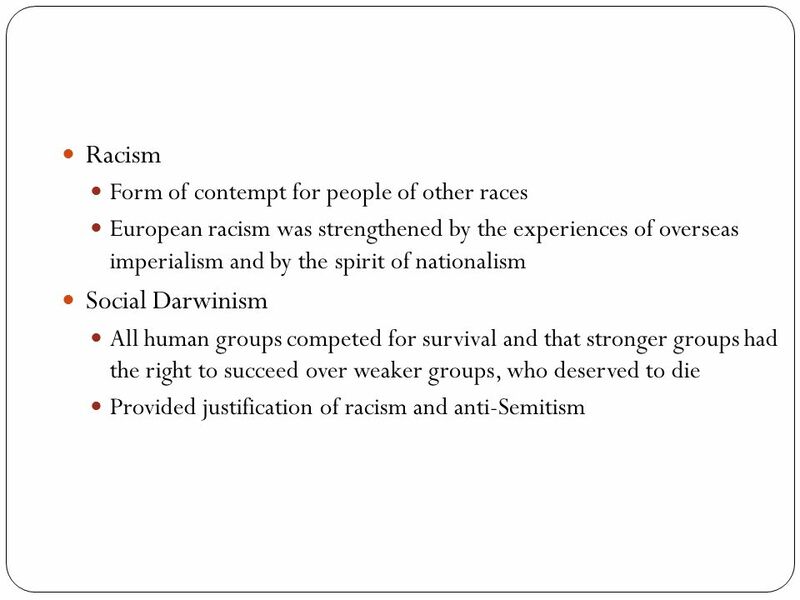 Nazi Germany quickly conquered all of Western Europe except Britain. 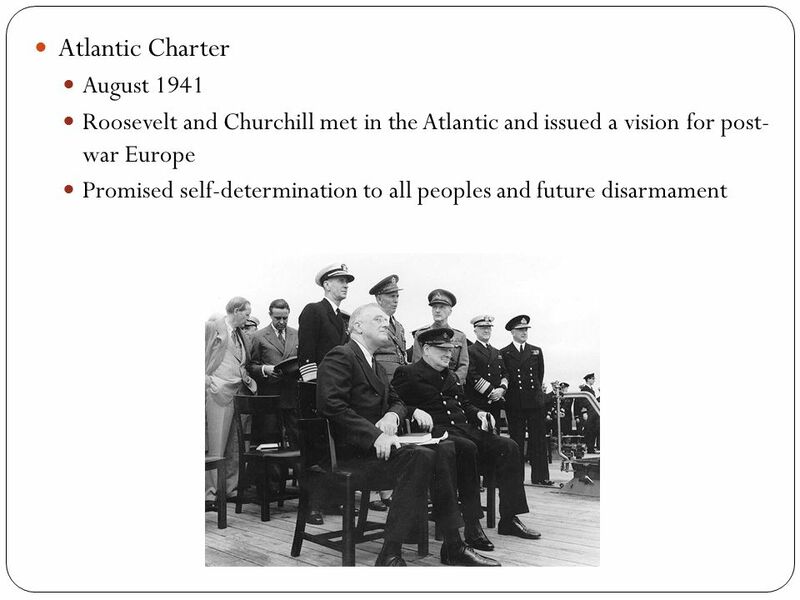 Winston Churchill of Britain refused to surrender. 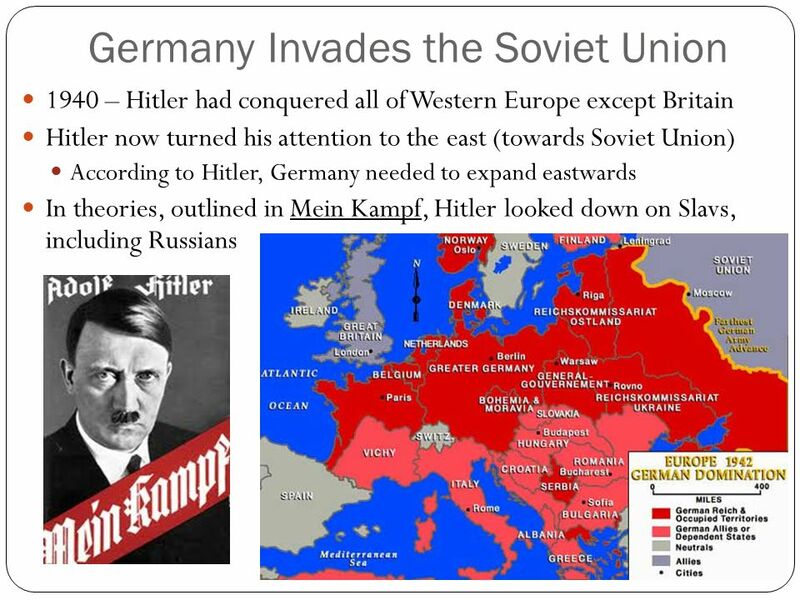 In 1941, Hitler invaded the Soviet Union. 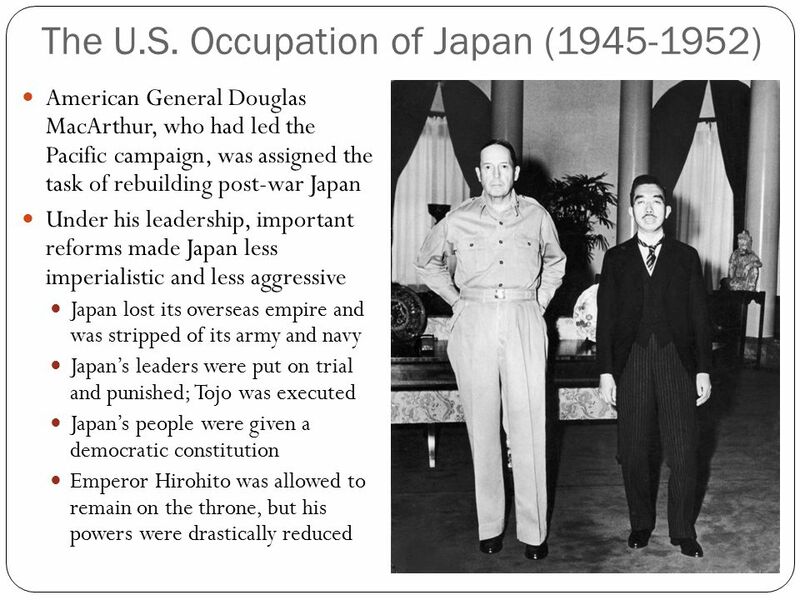 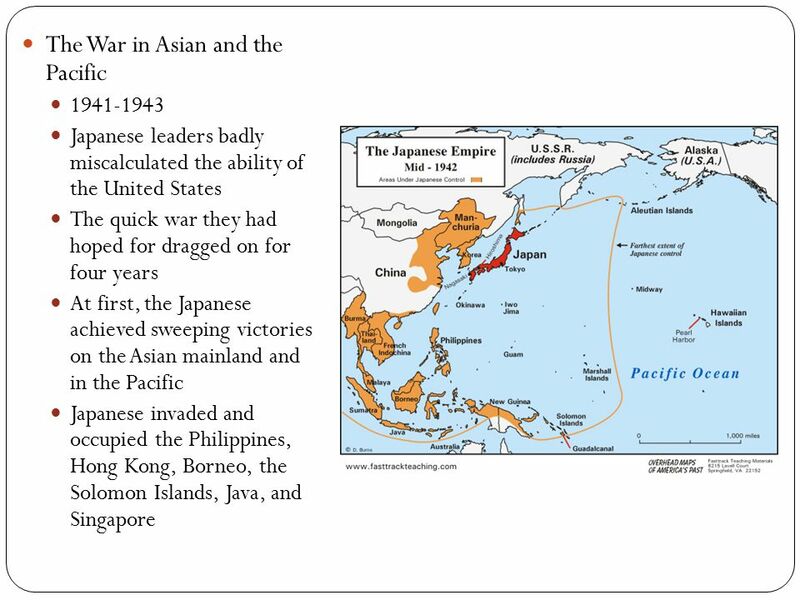 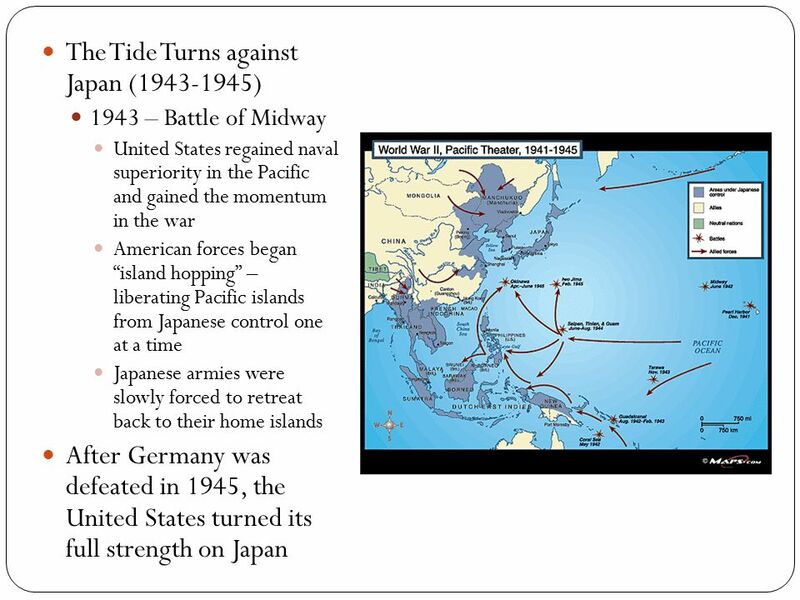 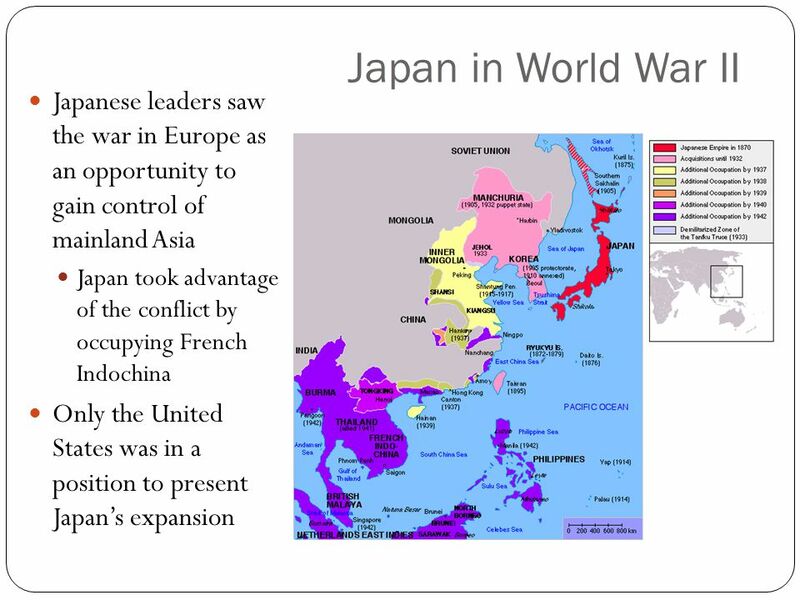 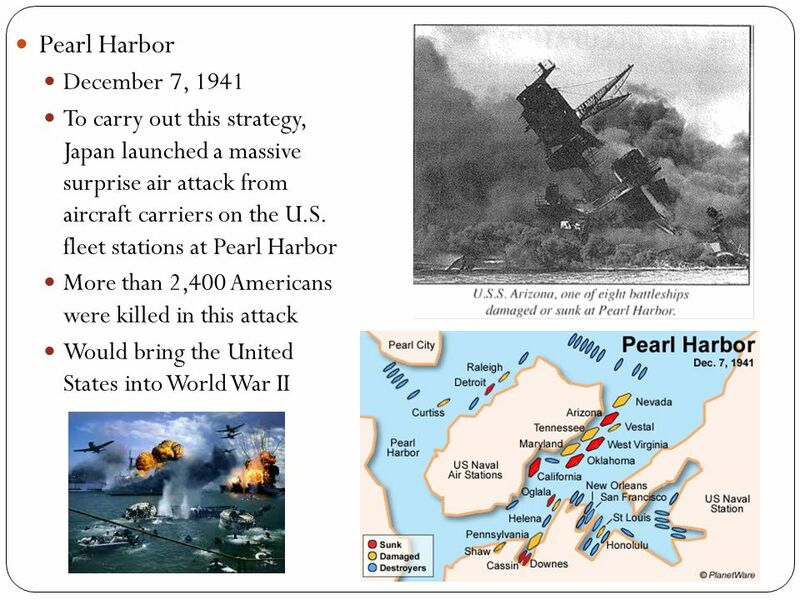 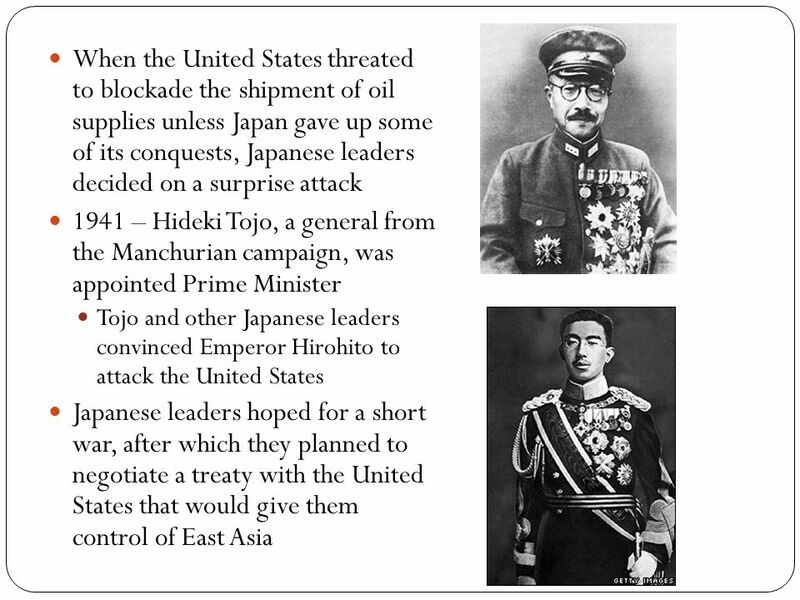 Later that year Germany’s ally, Japan, led by Hideki Tojo, attacked the United States at Pearl Harbor, Hawaii. 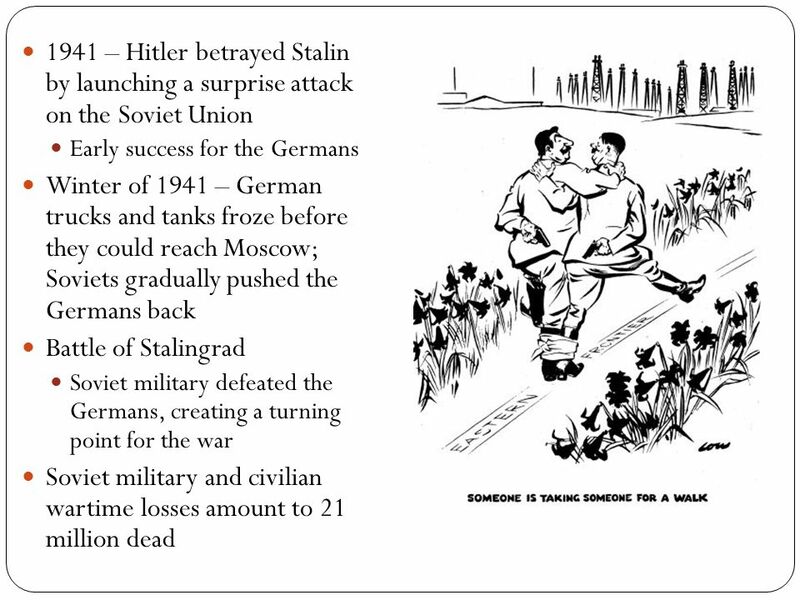 The Soviets stopped the Nazi advance at Stalingrad. 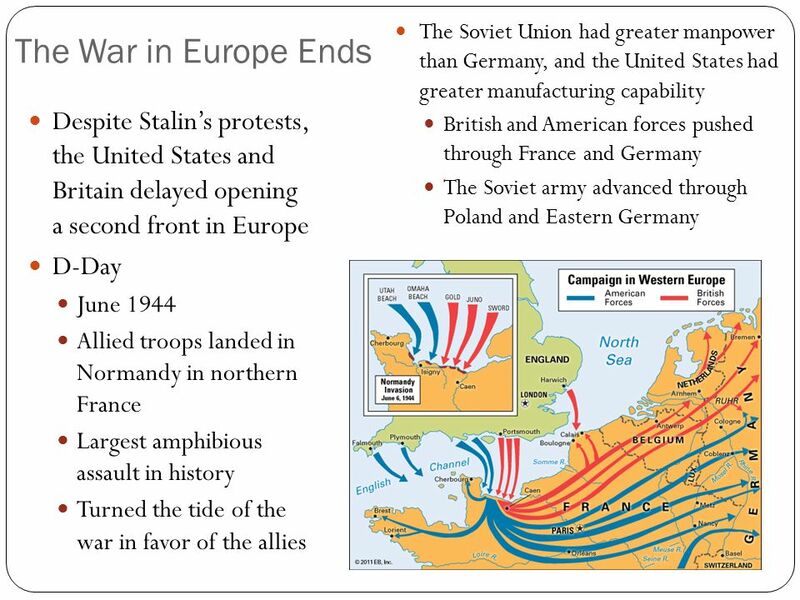 In 1944, Britain and the United States landed troops in Normandy. 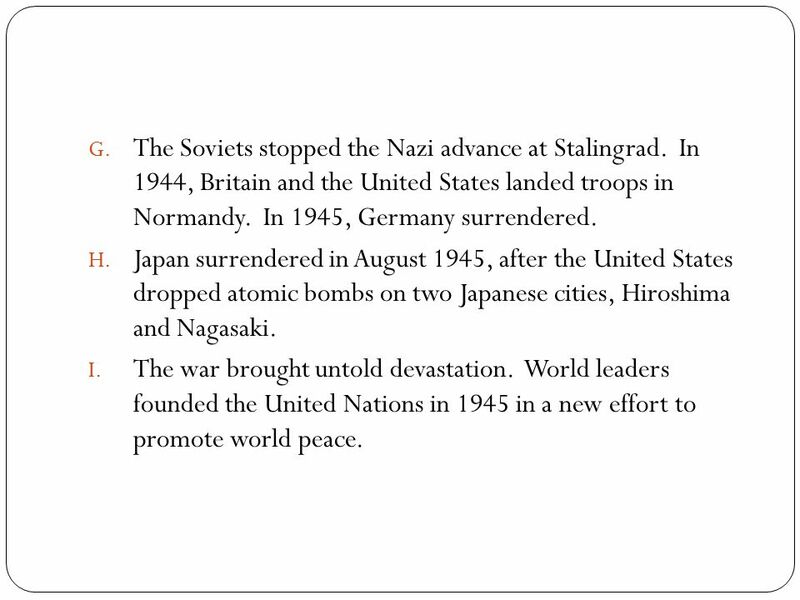 In 1945, Germany surrendered. 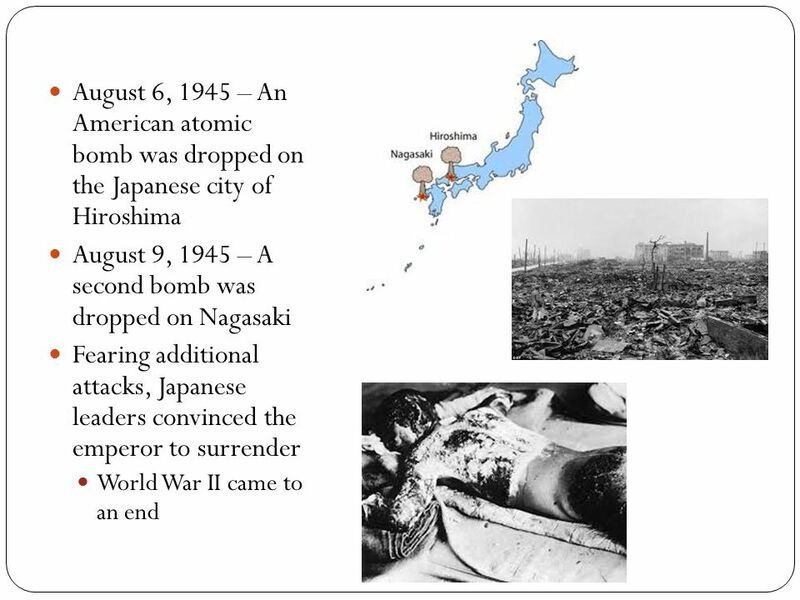 Japan surrendered in August 1945, after the United States dropped atomic bombs on two Japanese cities, Hiroshima and Nagasaki. 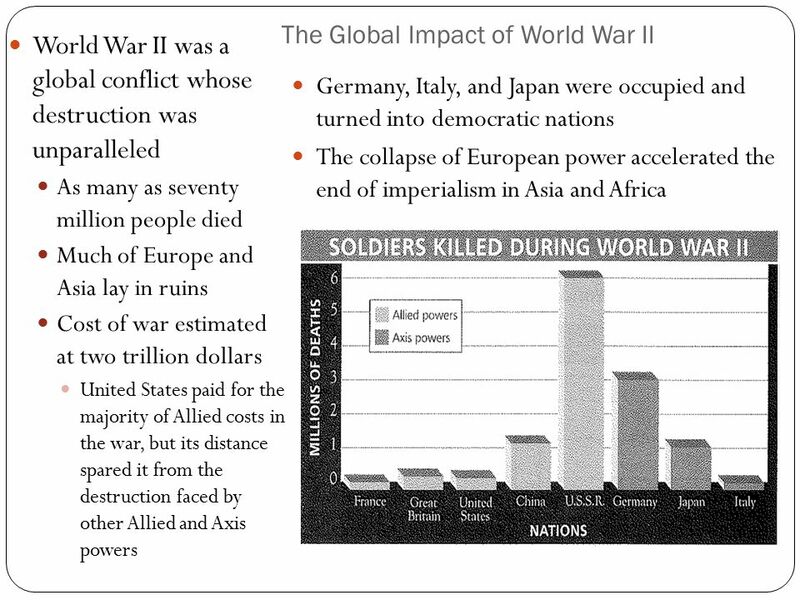 The war brought untold devastation. 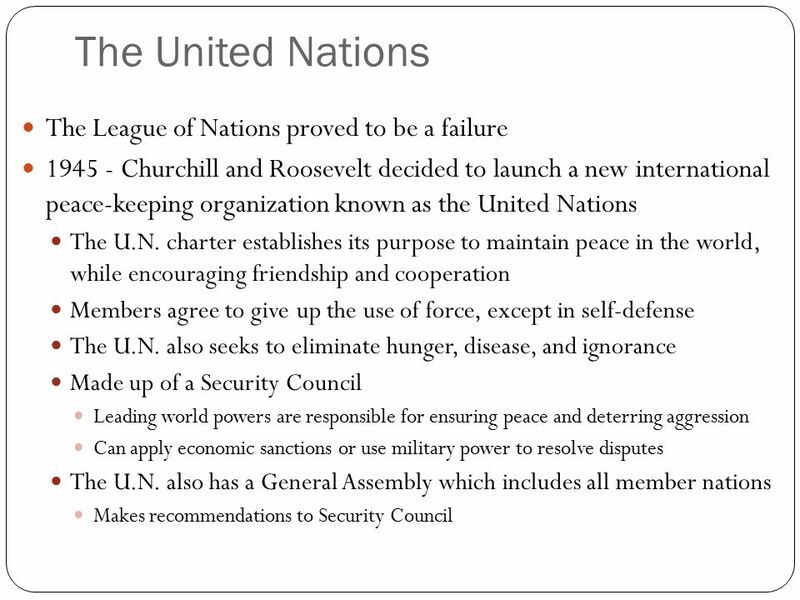 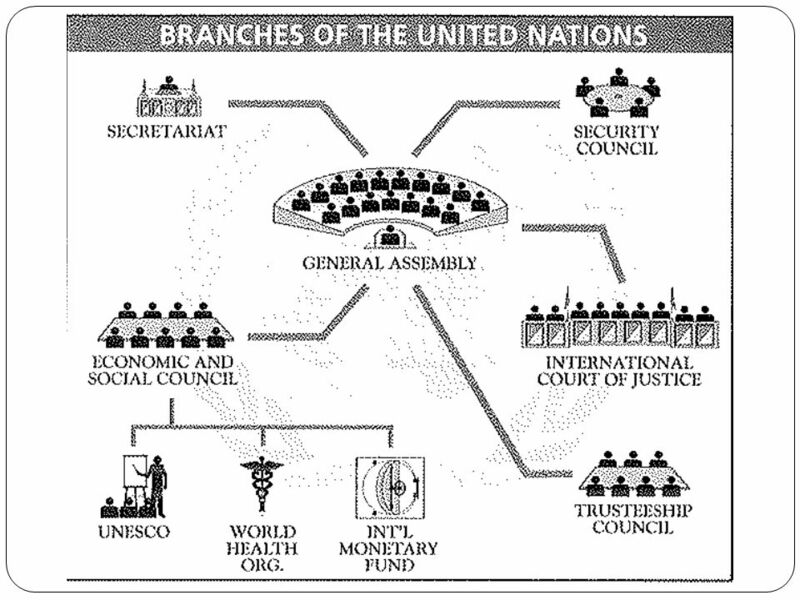 World leaders founded the United Nations in 1945 in a new effort to promote world peace. 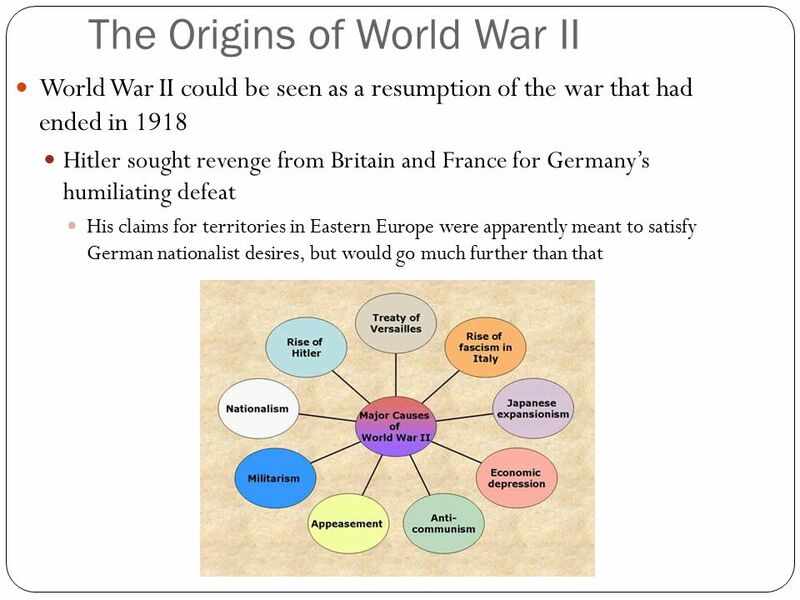 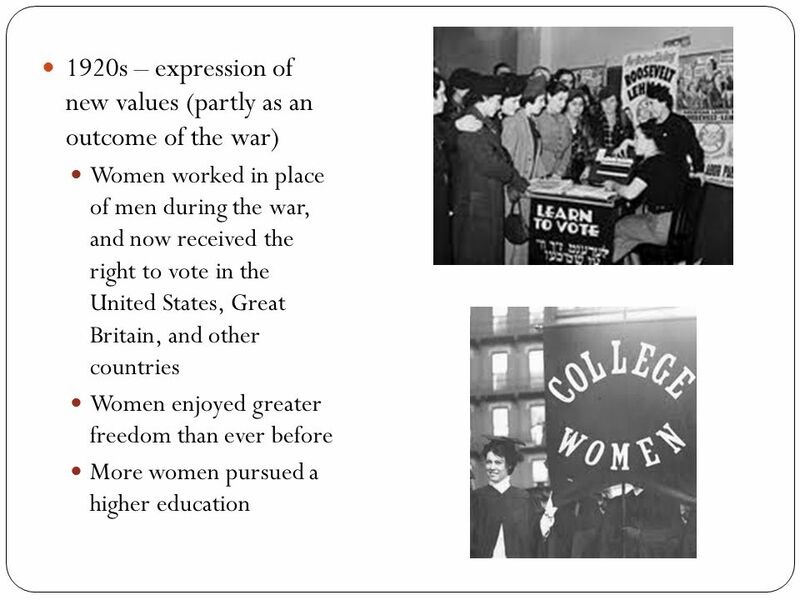 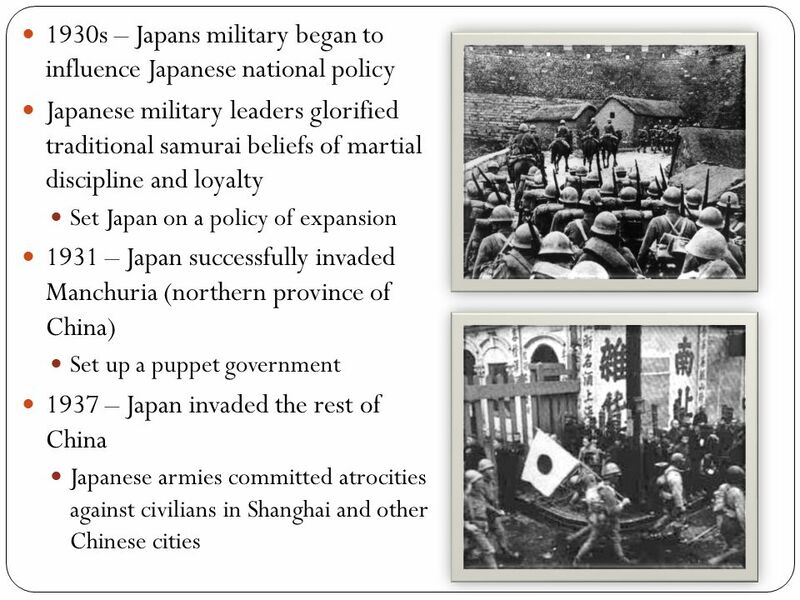 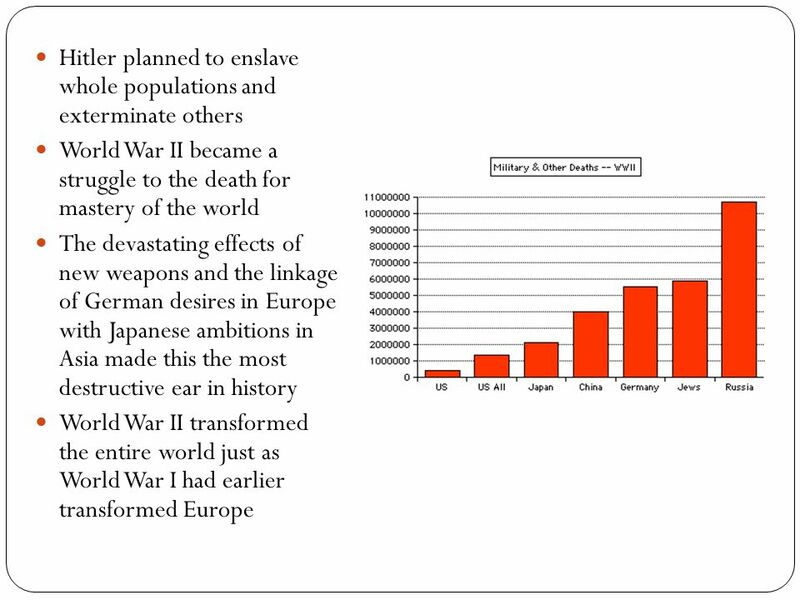 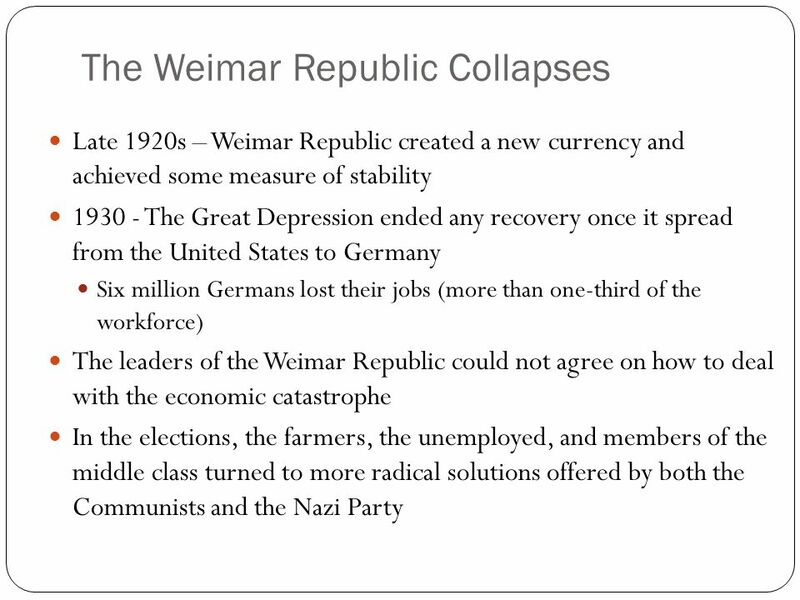 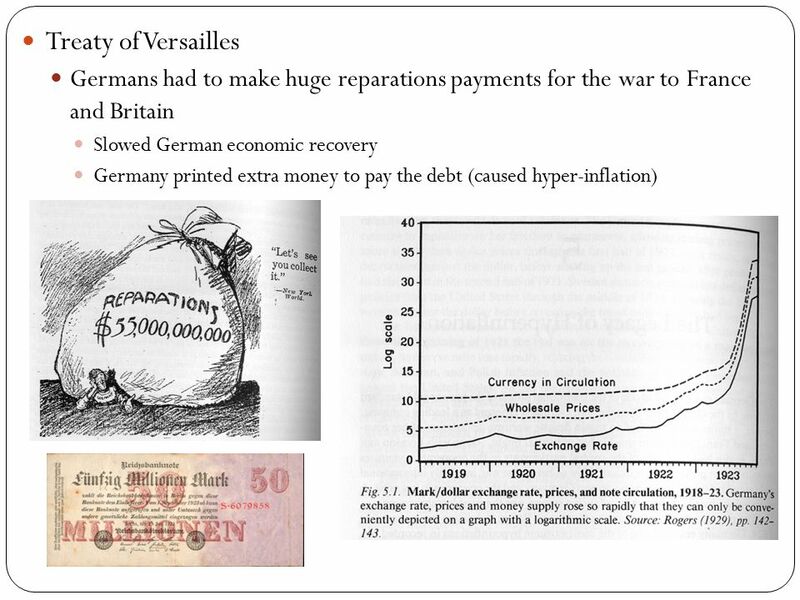 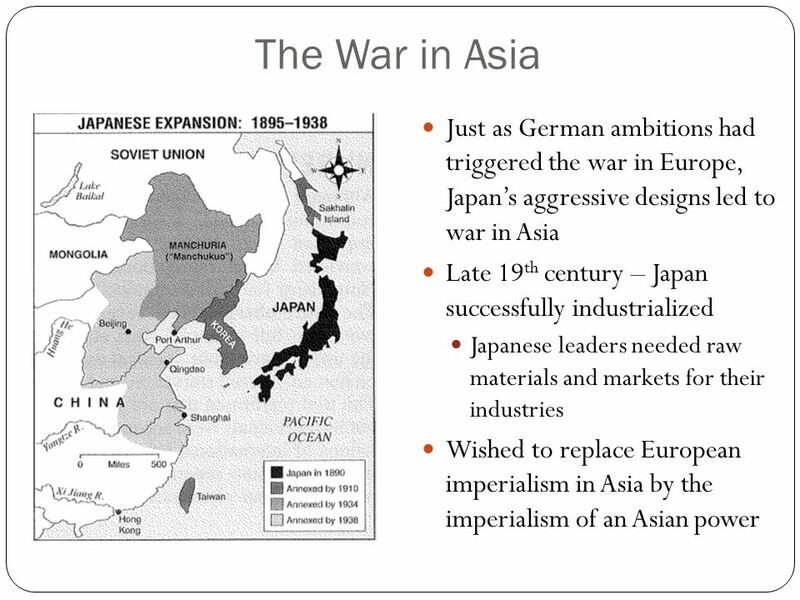 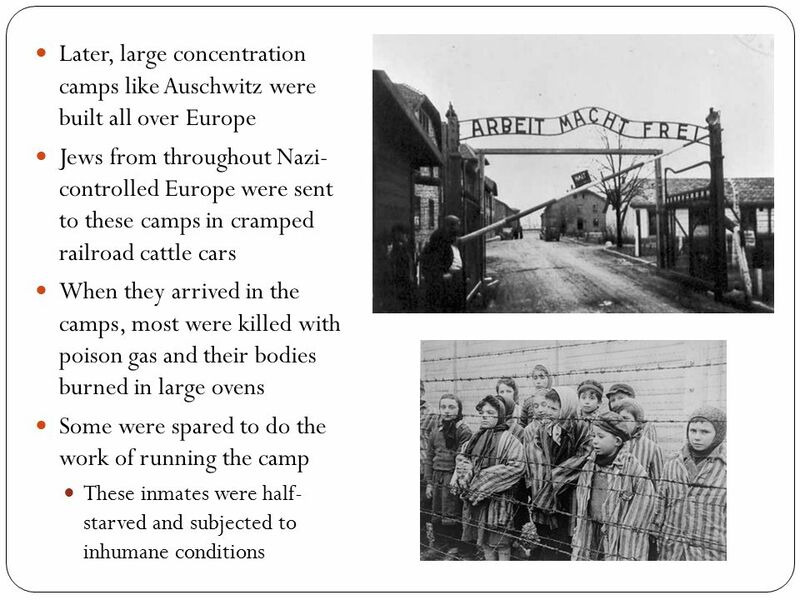 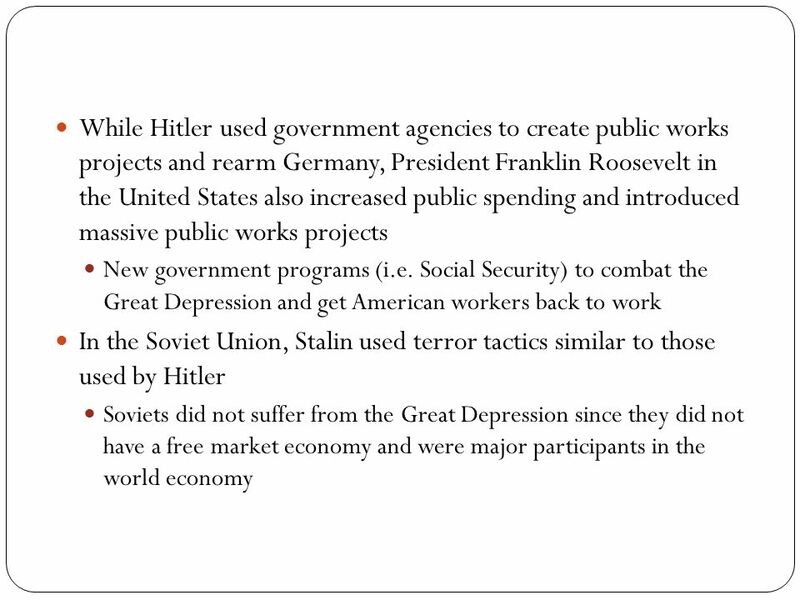 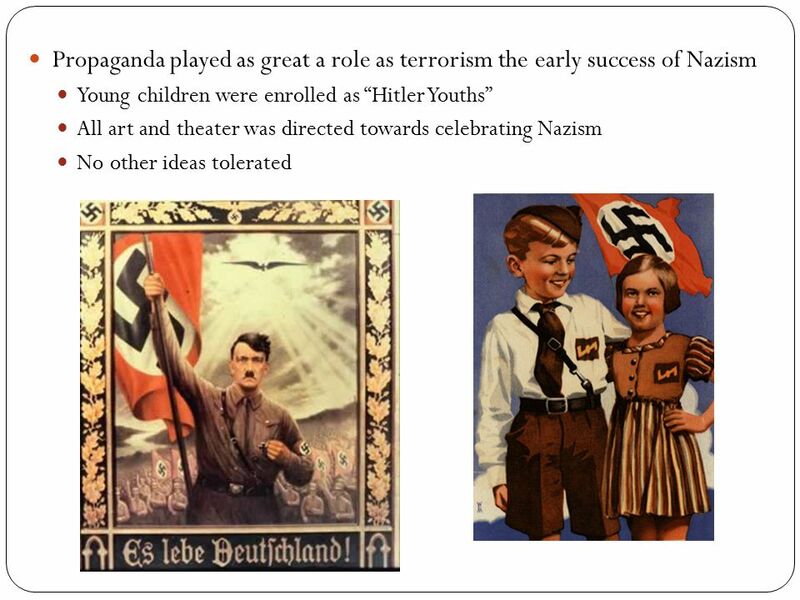 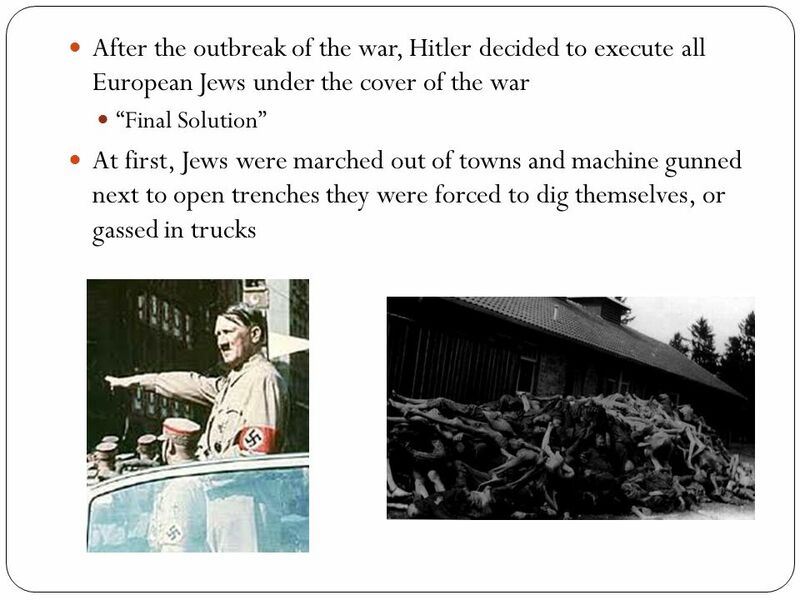 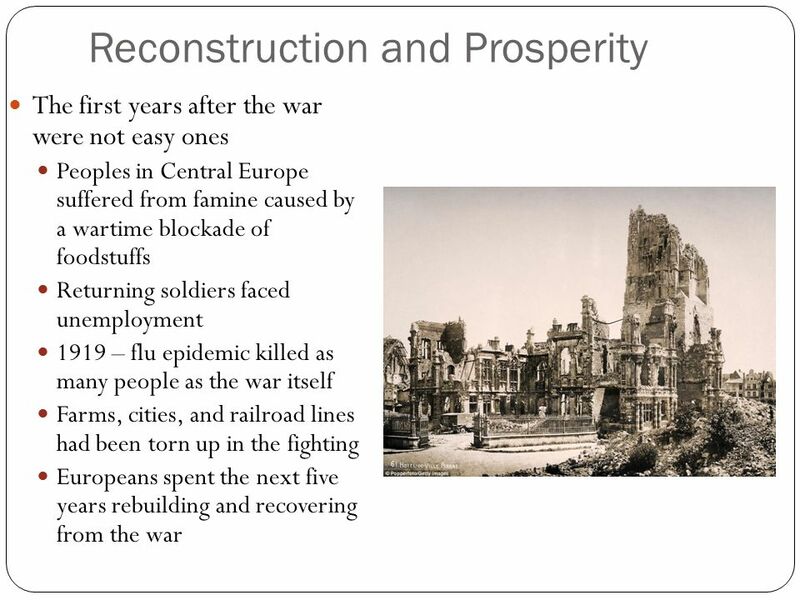 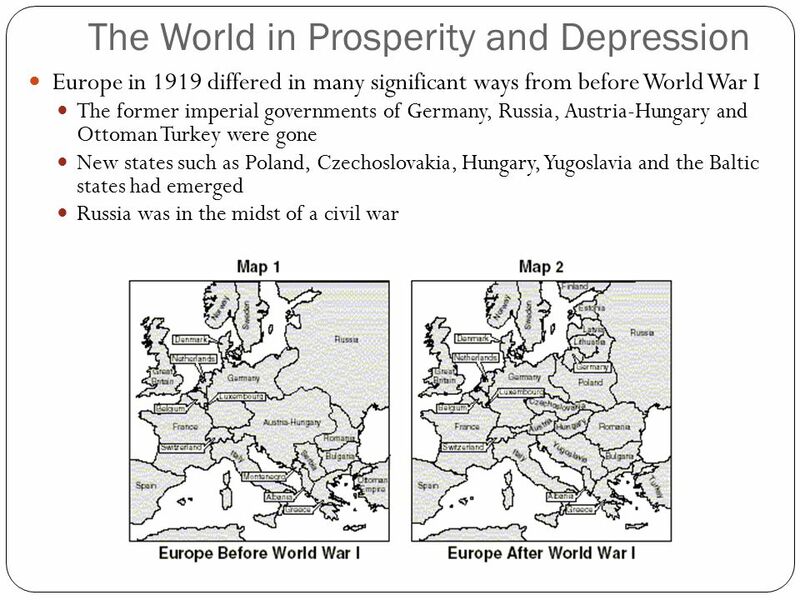 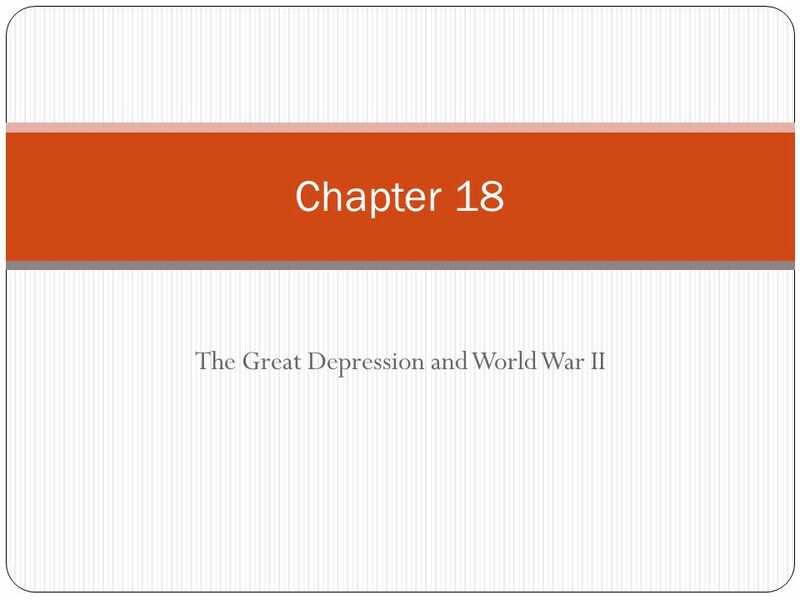 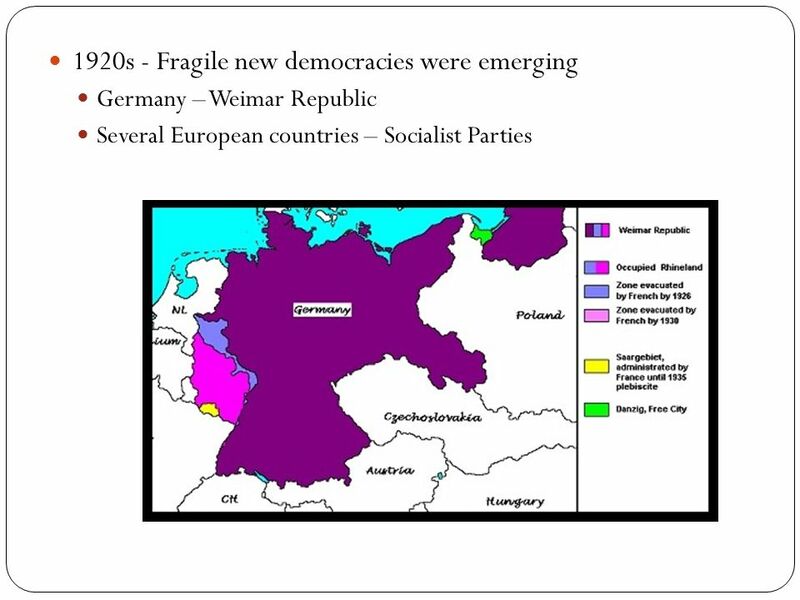 Download ppt "The Great Depression and World War II"
Lead up to World War II. 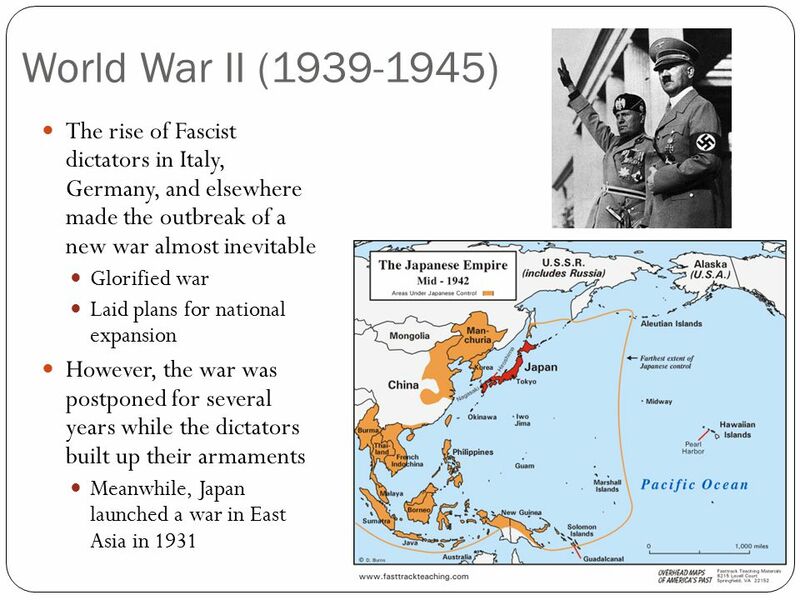 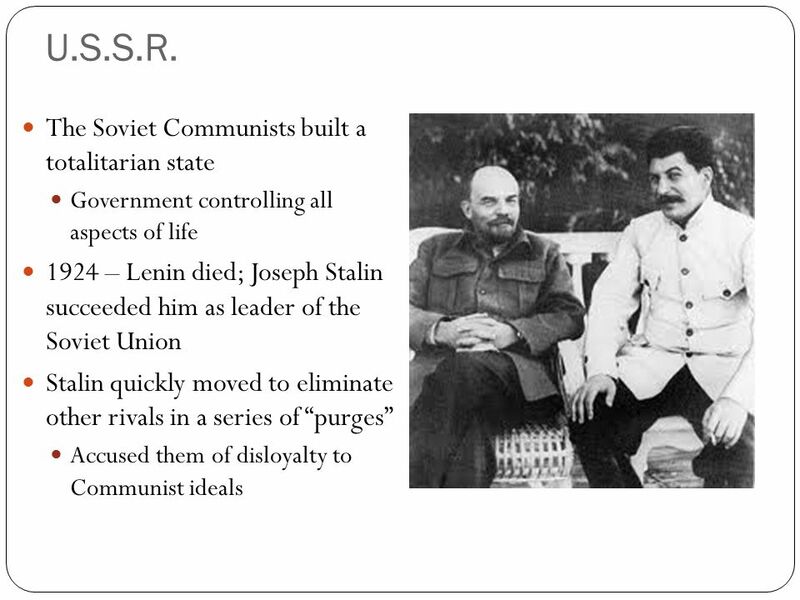 The rise of dictators was one of the causes of WWII. 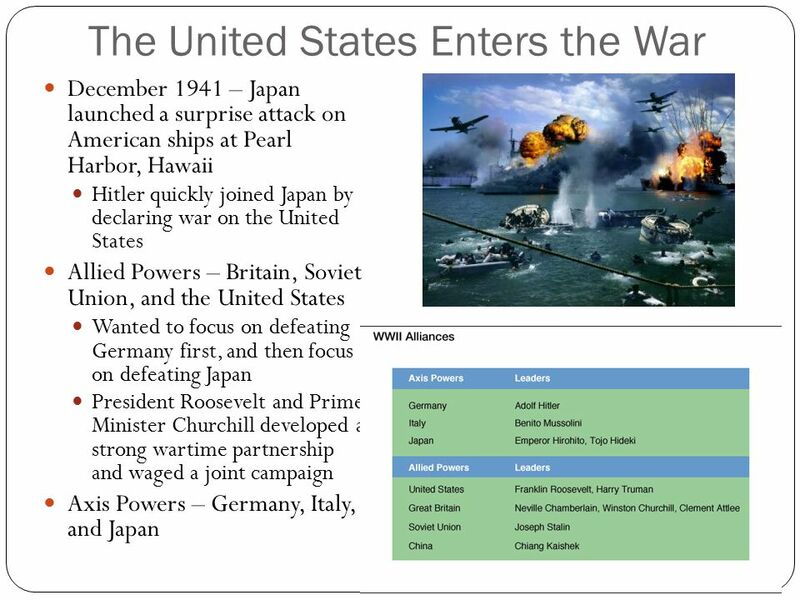 WORLD WAR II 11.7 – Students analyze America’s participation in World War II 1939 – Students analyze America’s participation in World War II. 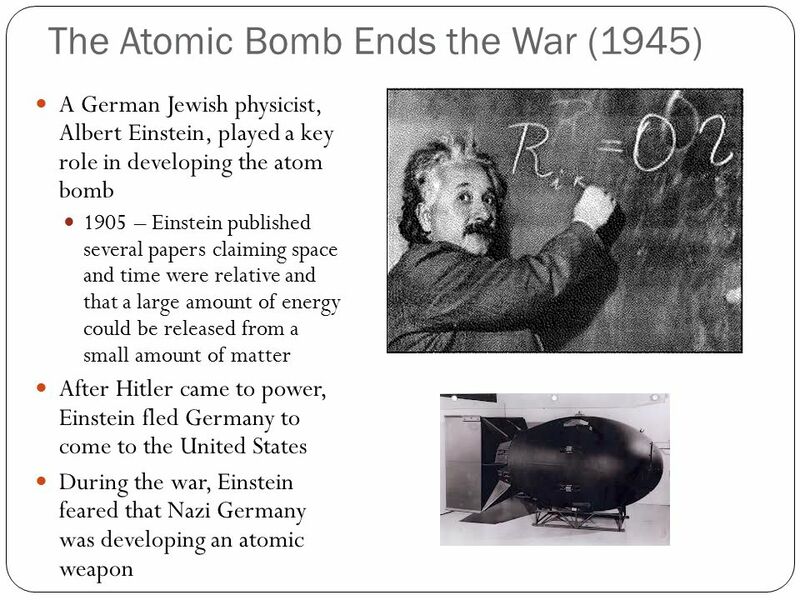 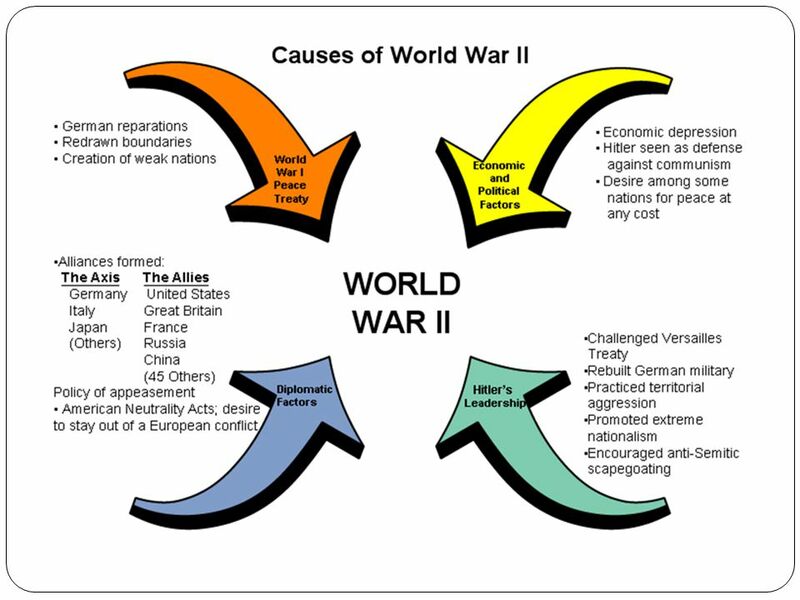 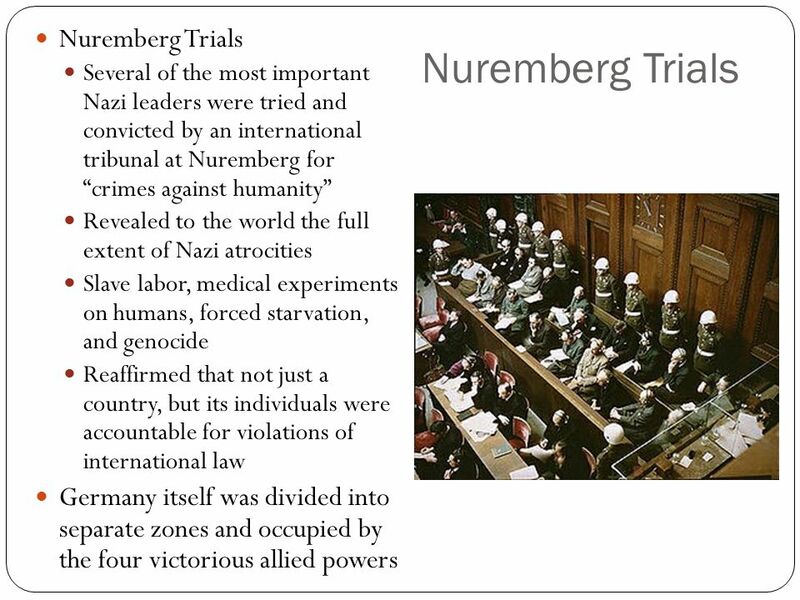 WORLD WAR II CAUSES & EFFECTS. 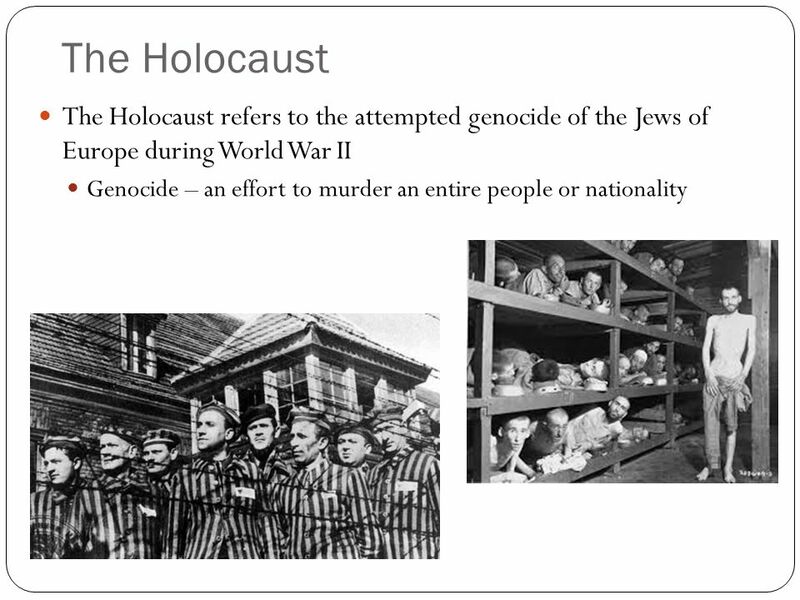 What does this picture portray? 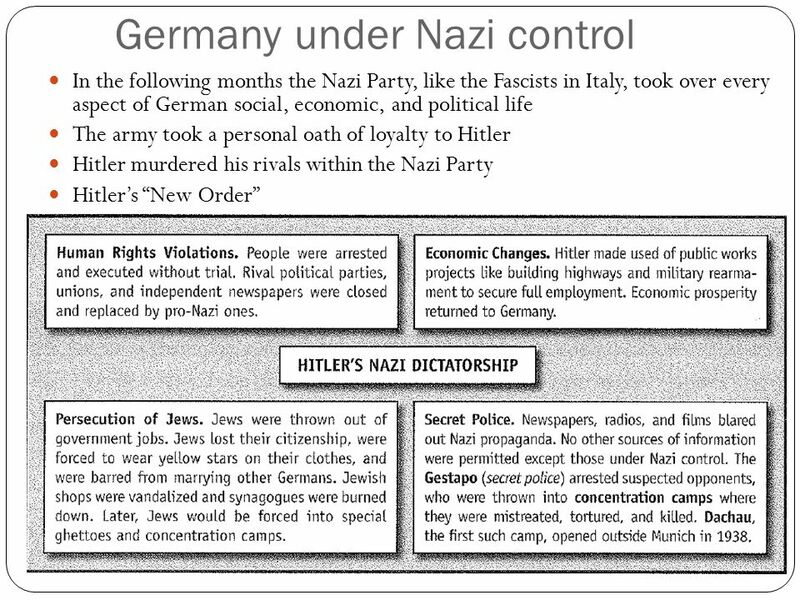 Instructions Anything written in yellow (SLOW down and pay attention) is useful information. 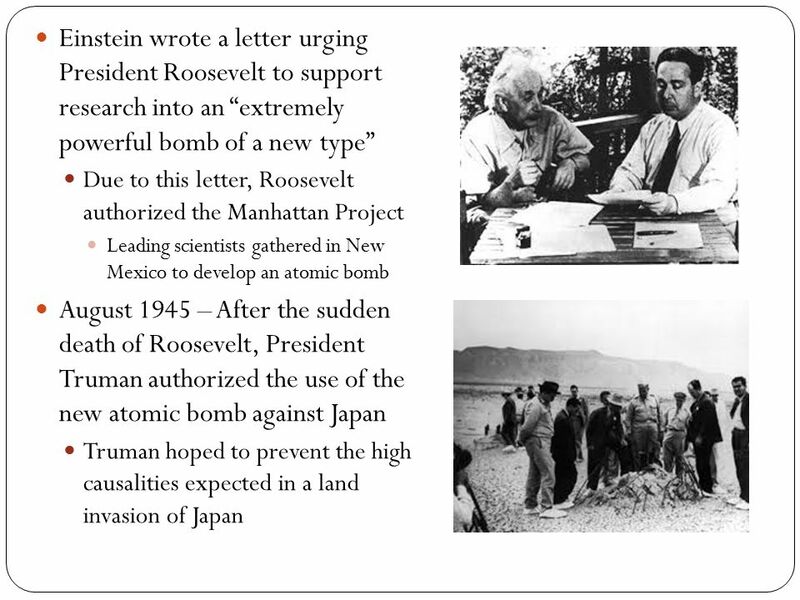 You should write it in. 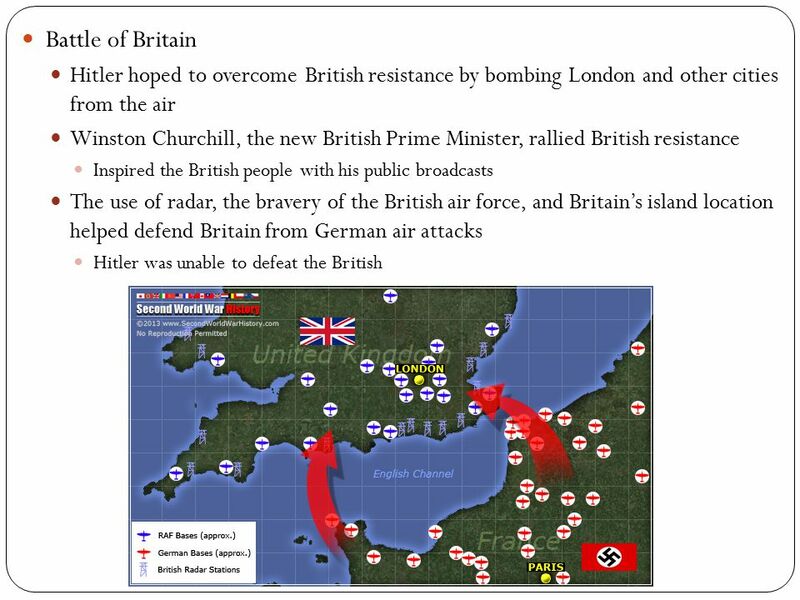 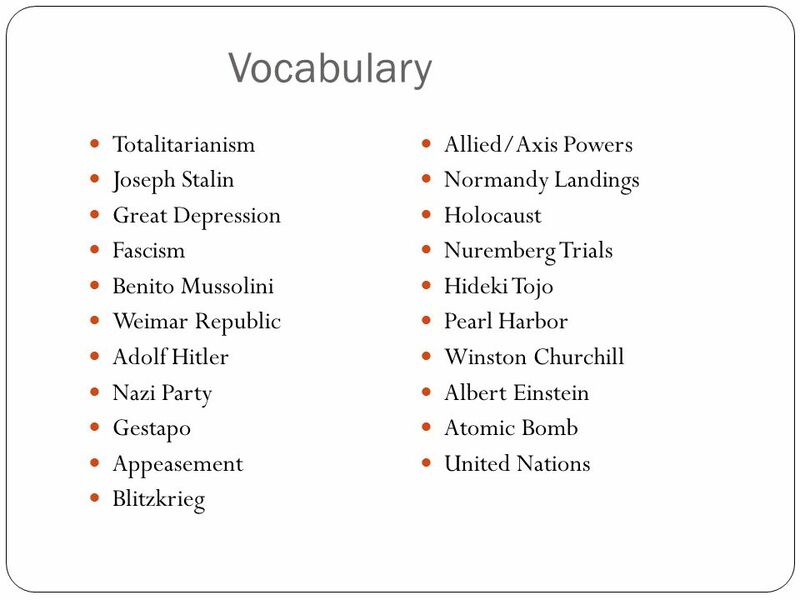 World War II, In this lesson, students will be able to define the following terms: Appeasement Blitzkrieg Holocaust Axis Powers E. Napp.